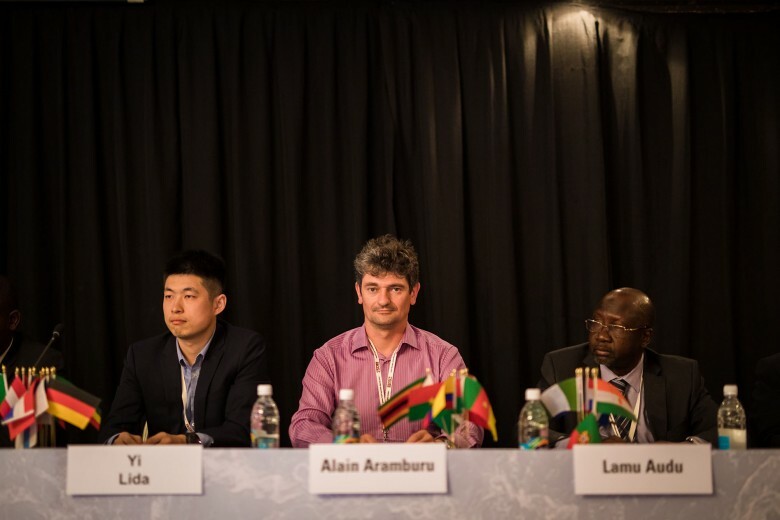 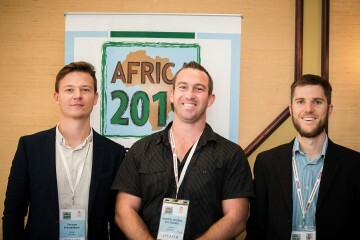 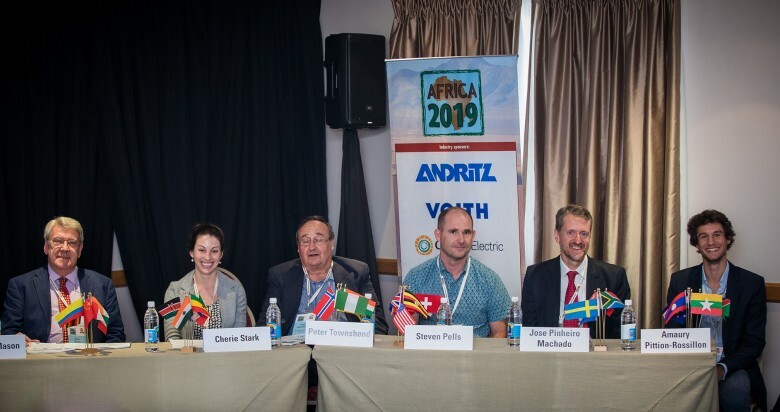 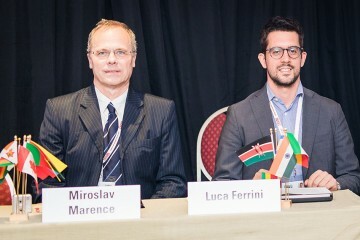 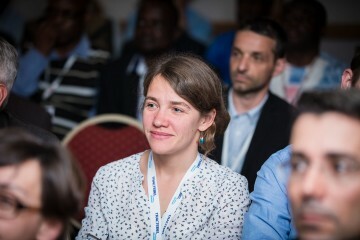 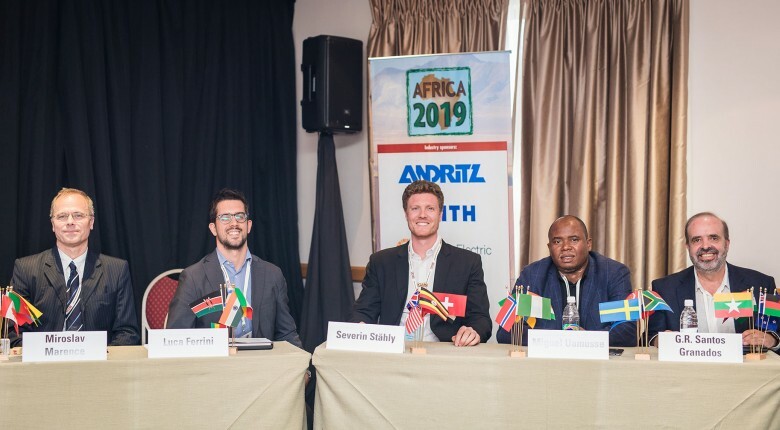 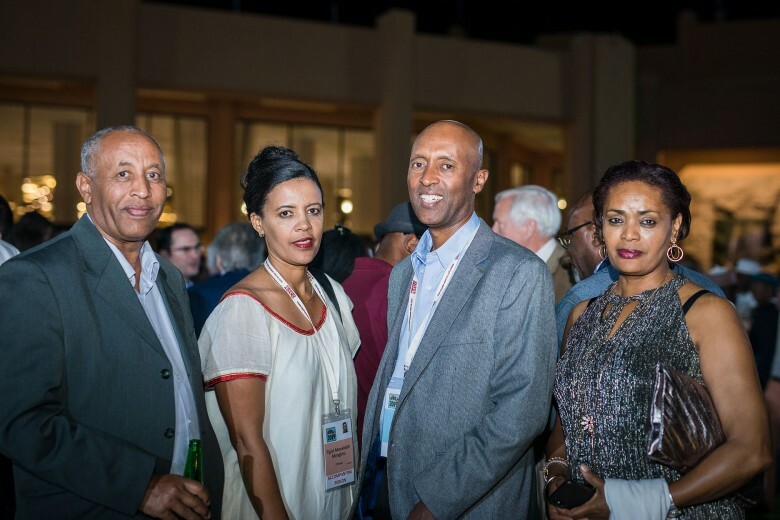 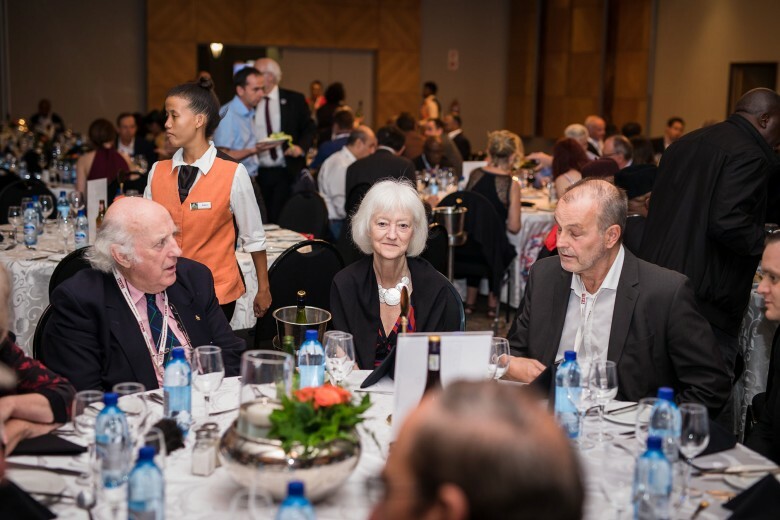 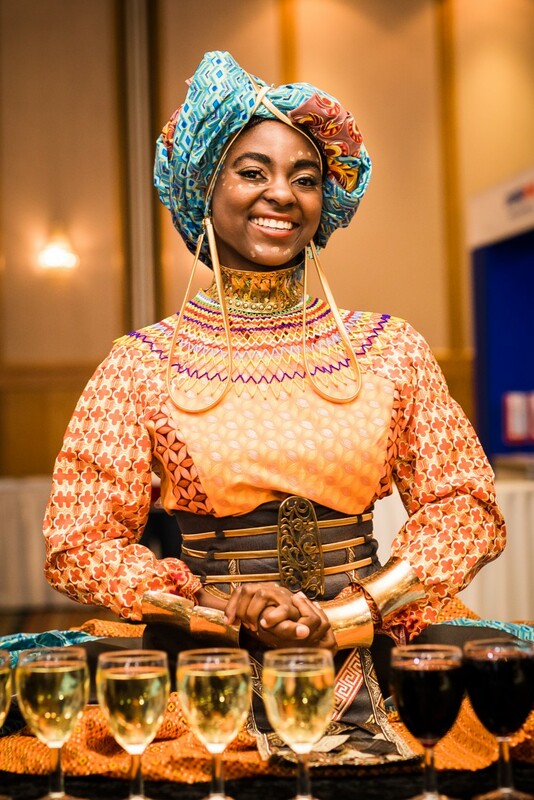 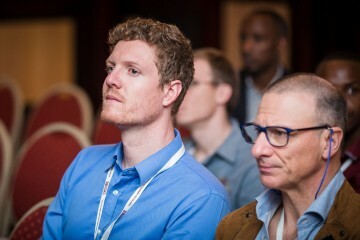 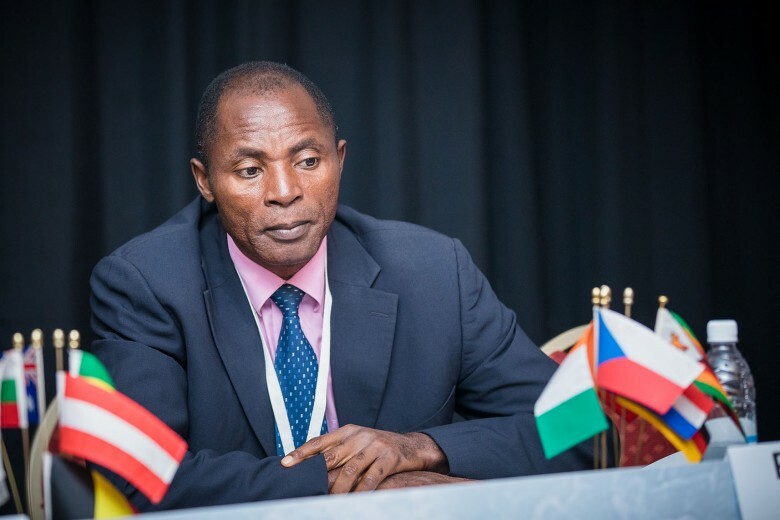 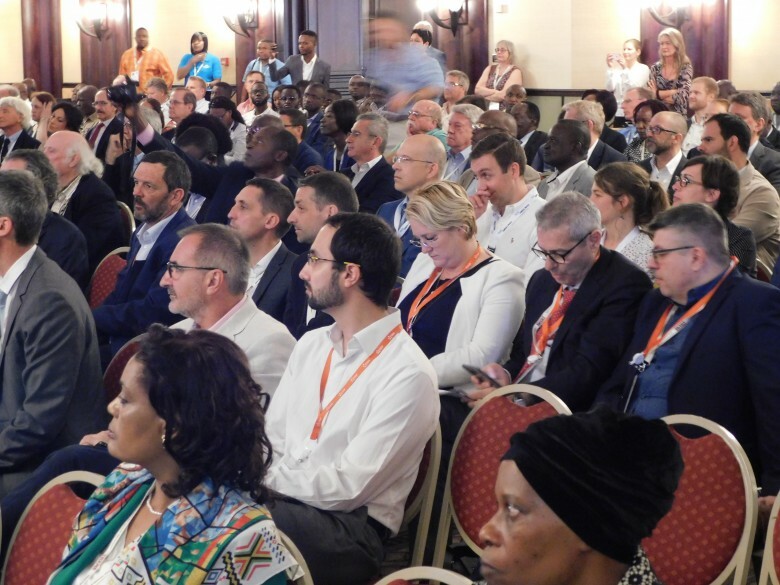 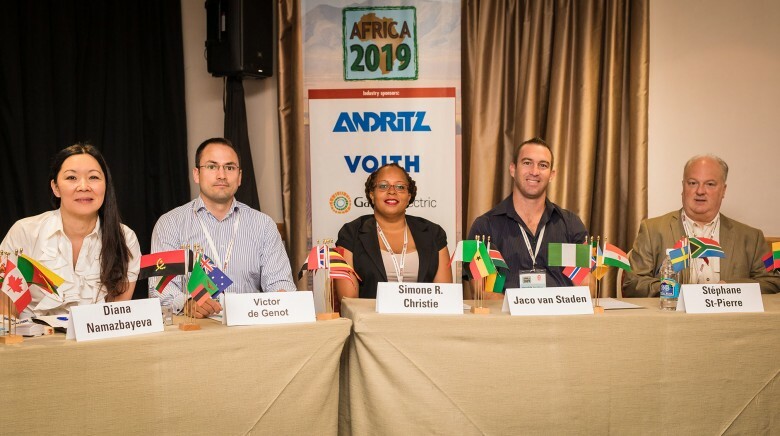 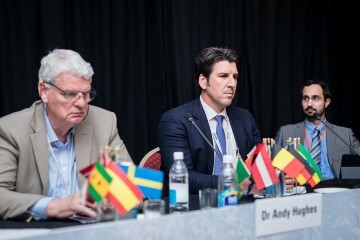 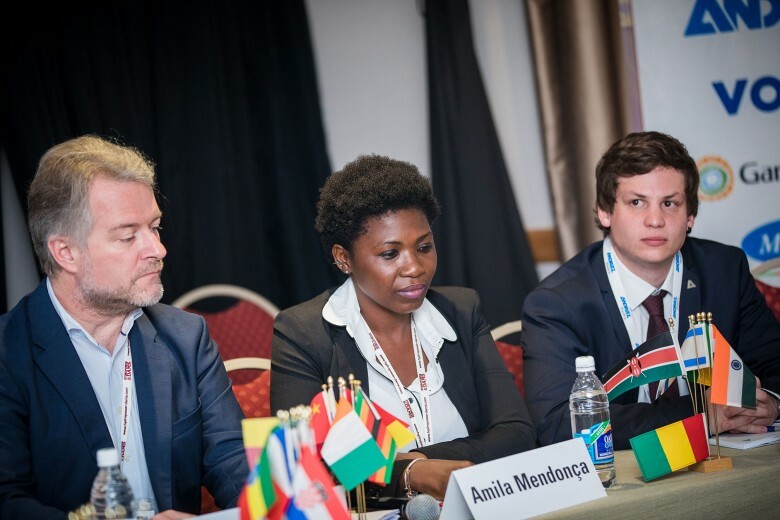 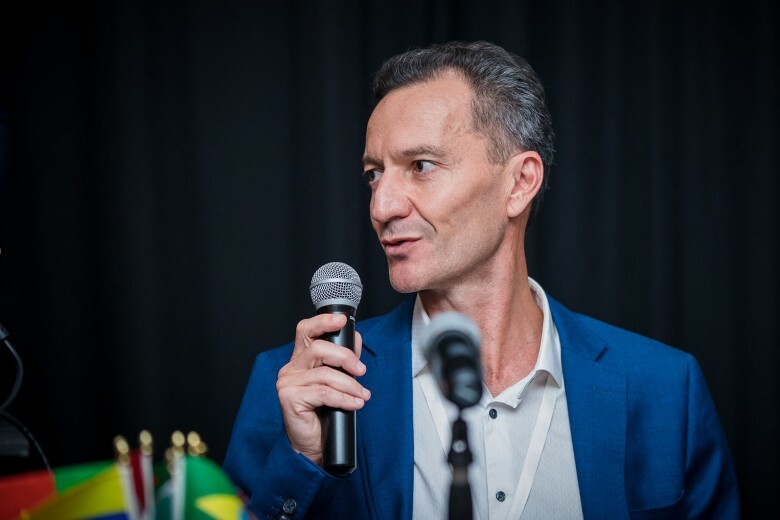 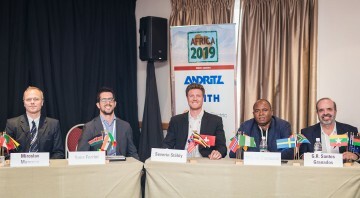 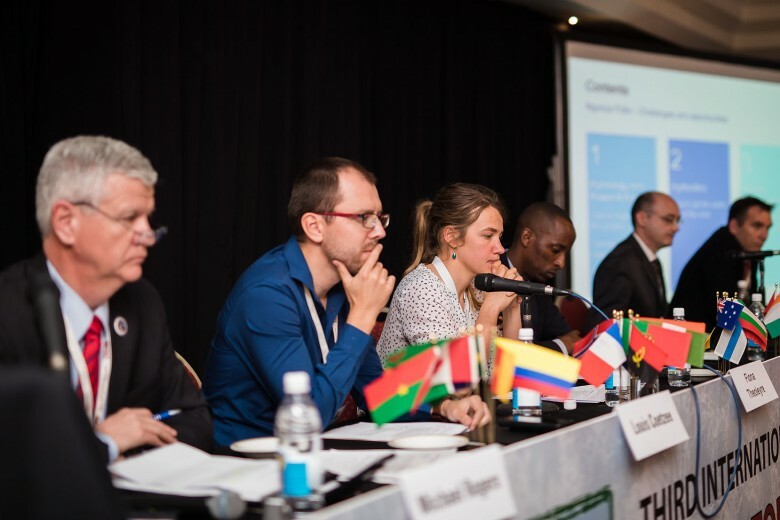 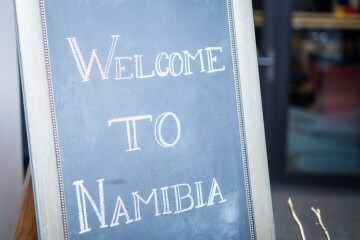 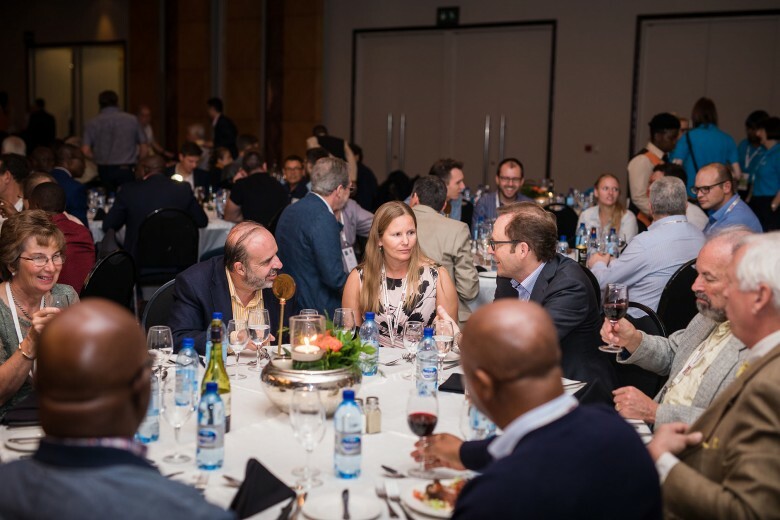 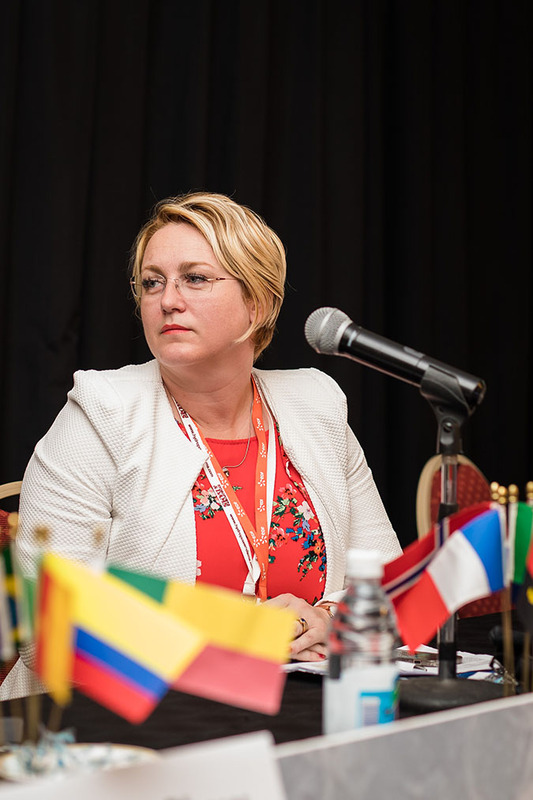 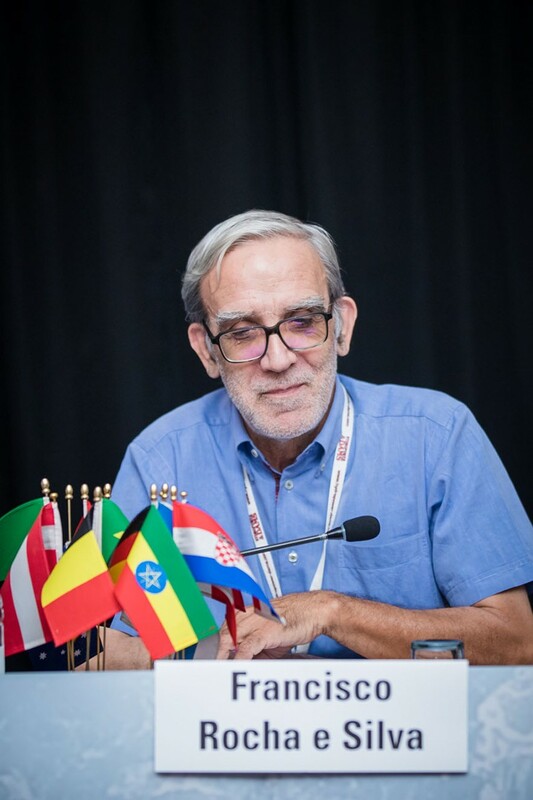 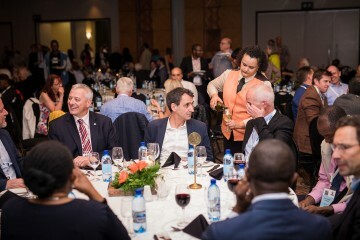 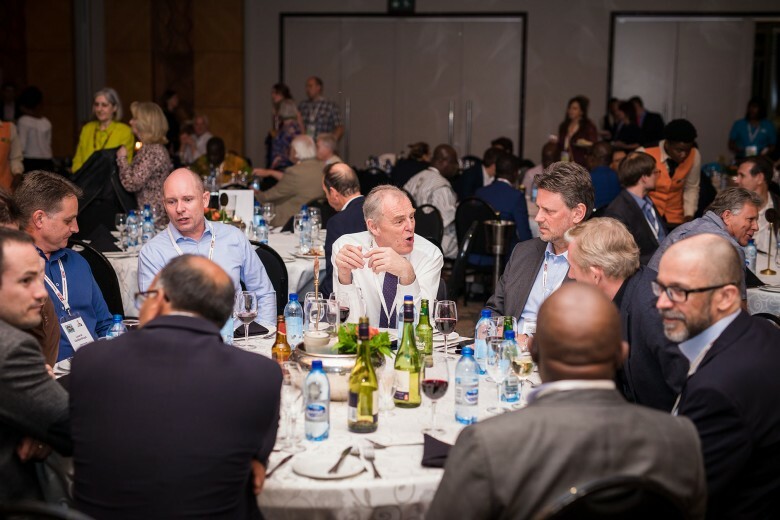 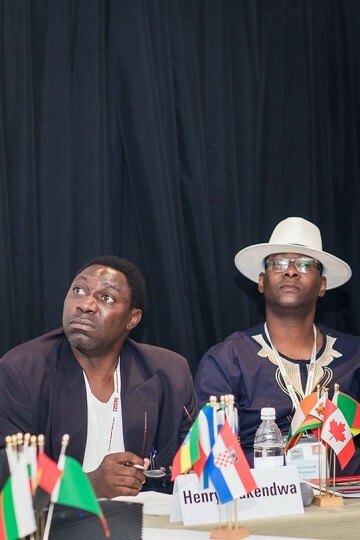 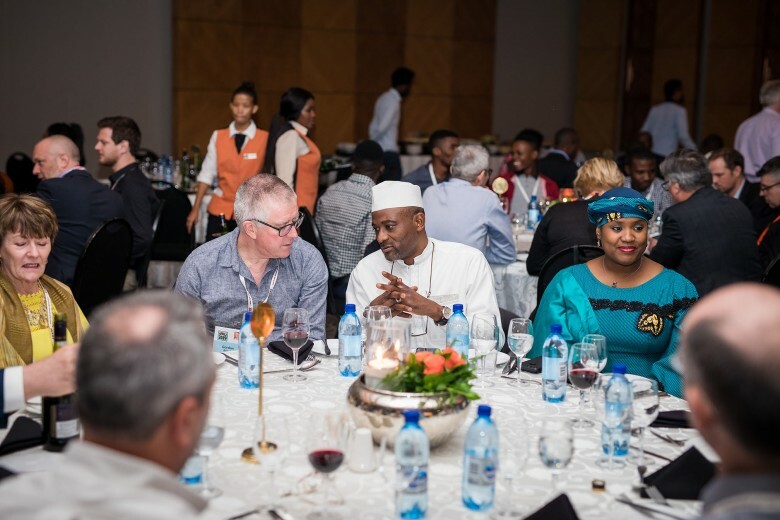 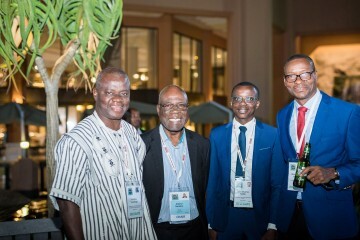 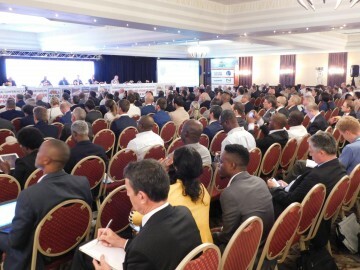 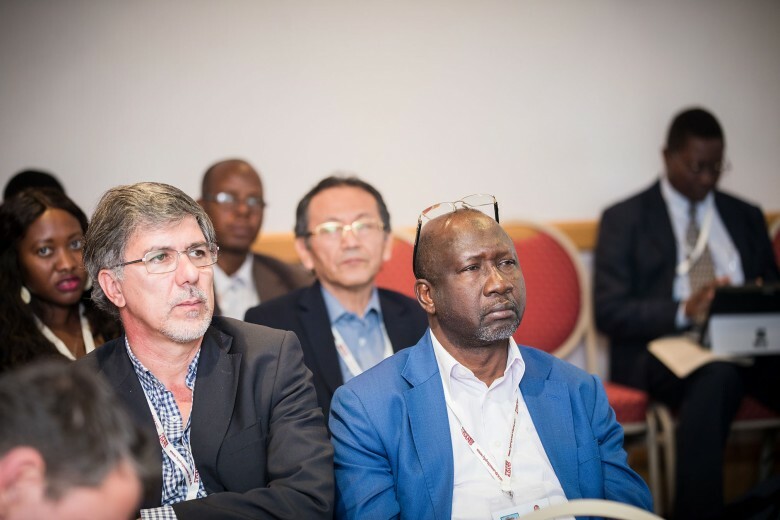 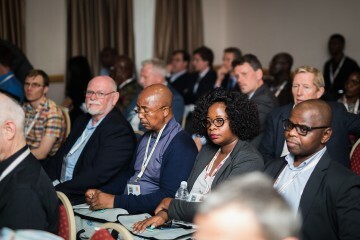 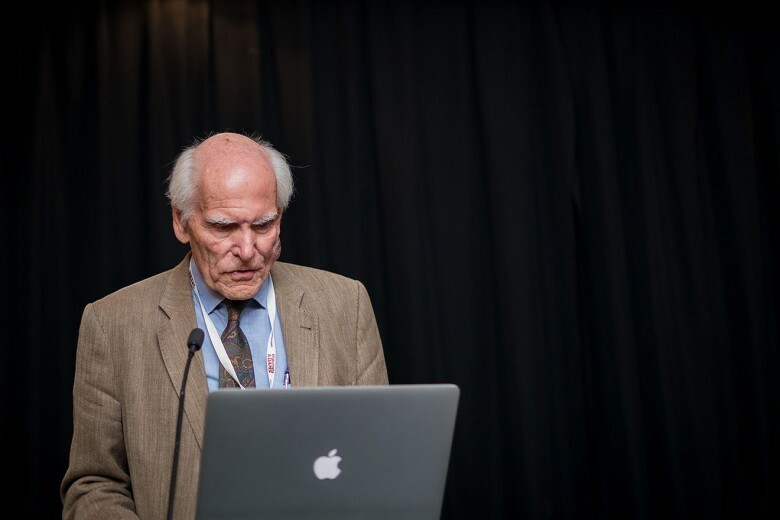 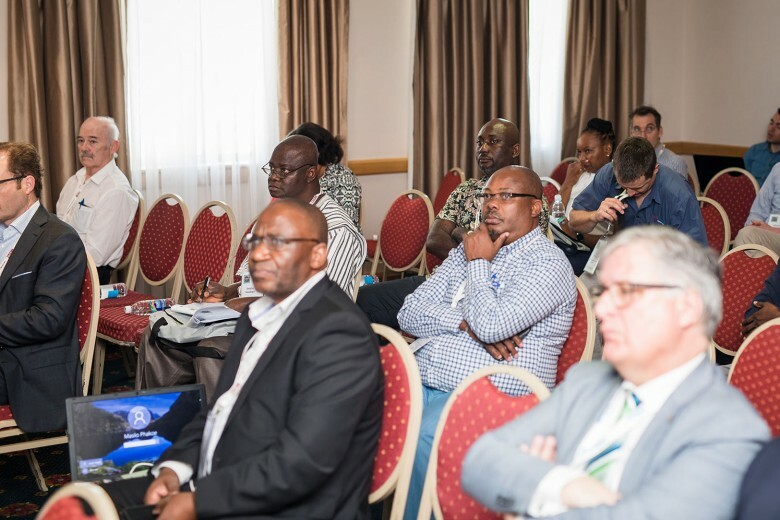 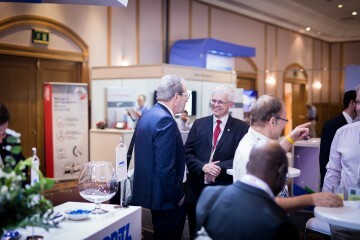 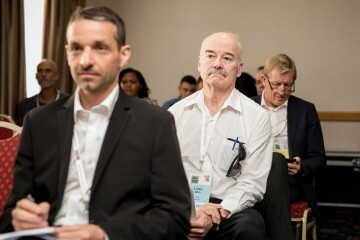 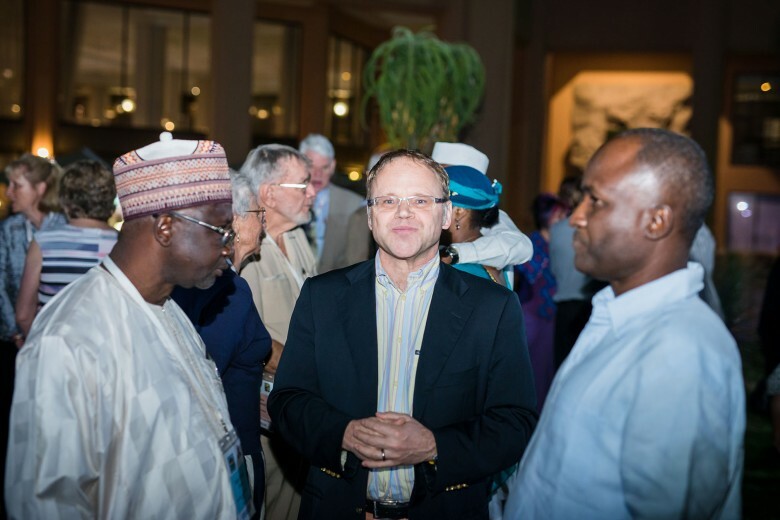 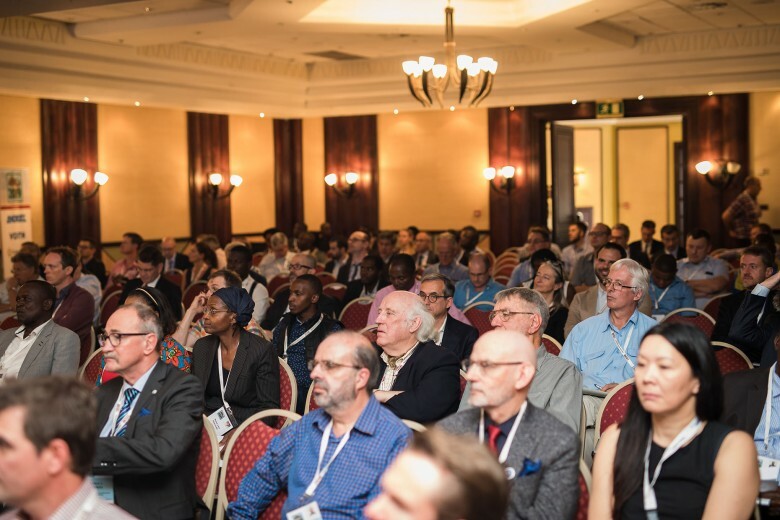 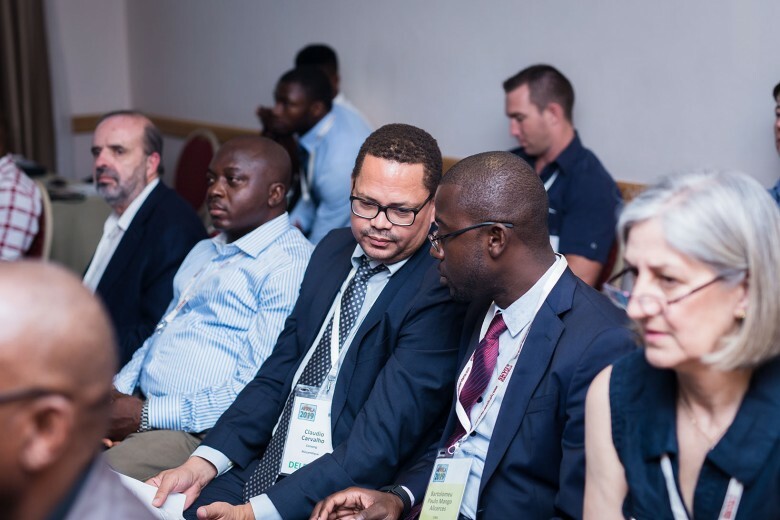 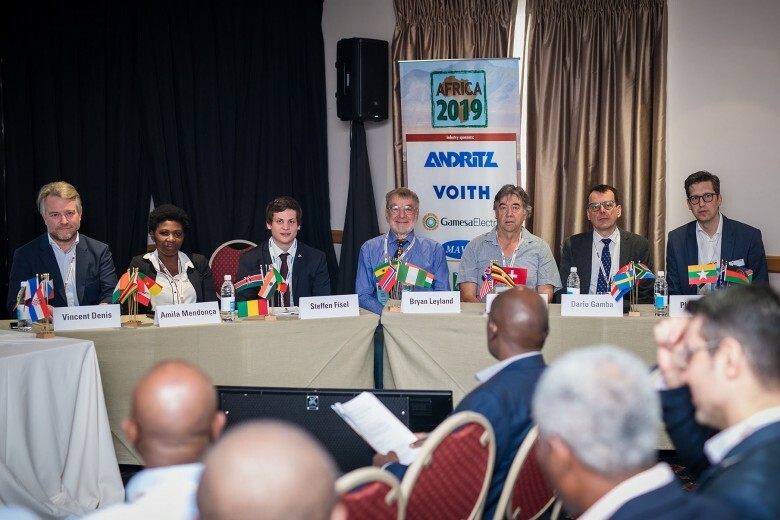 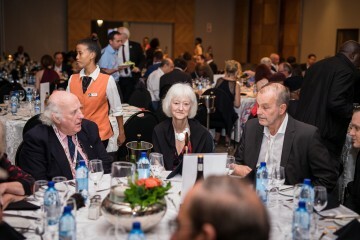 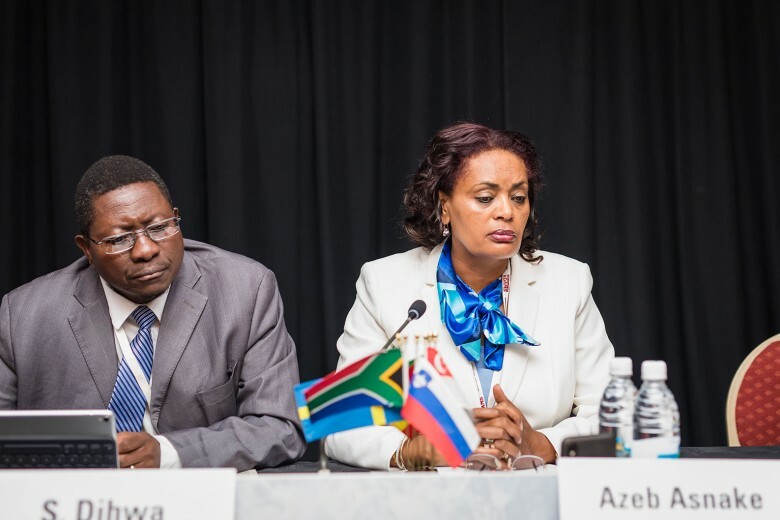 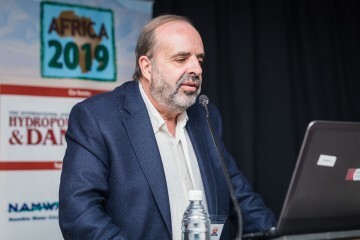 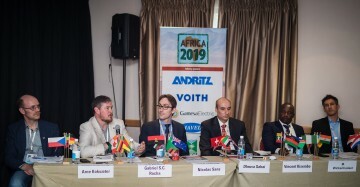 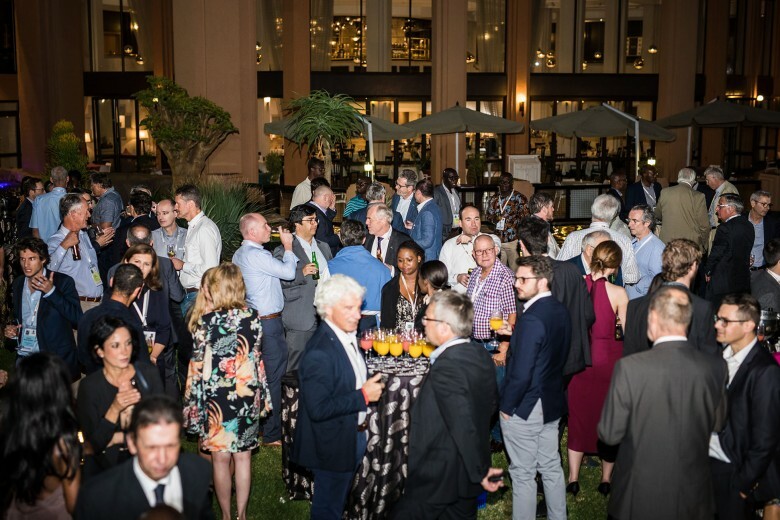 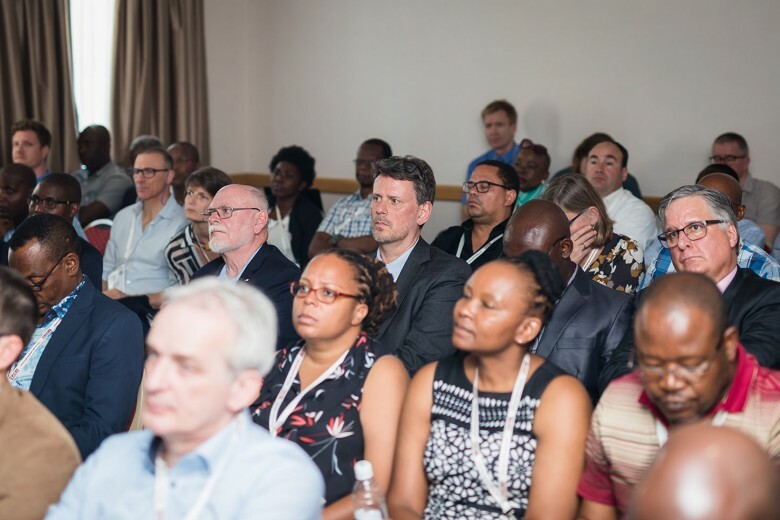 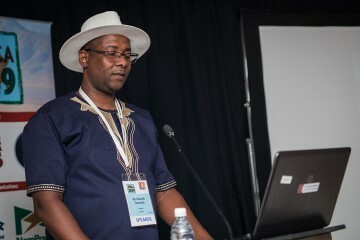 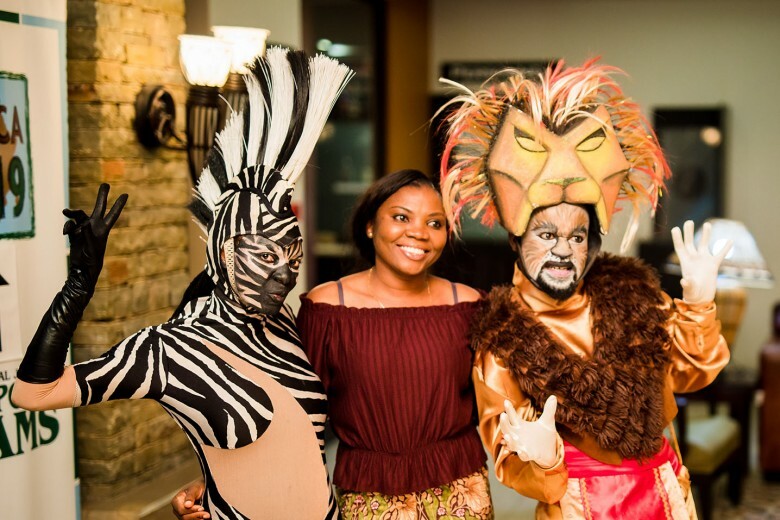 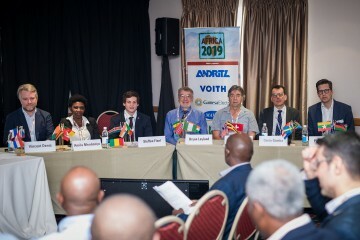 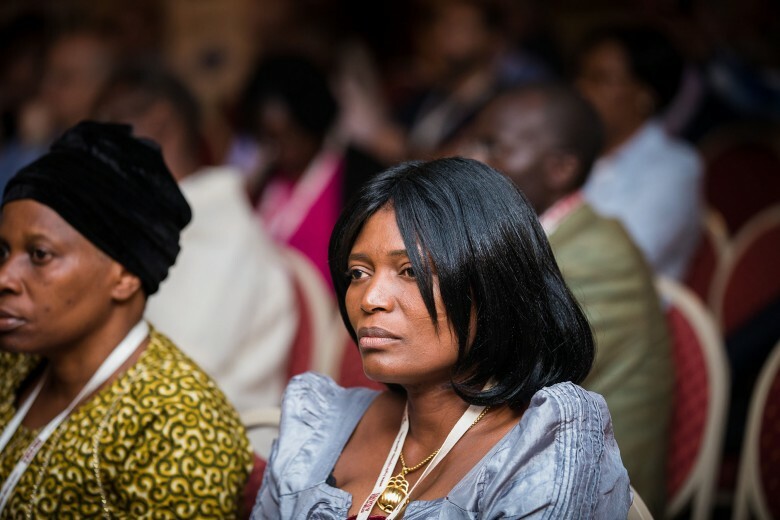 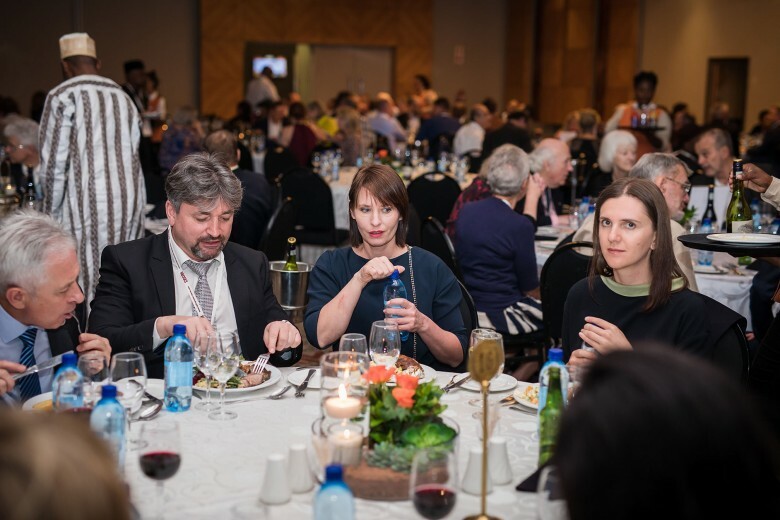 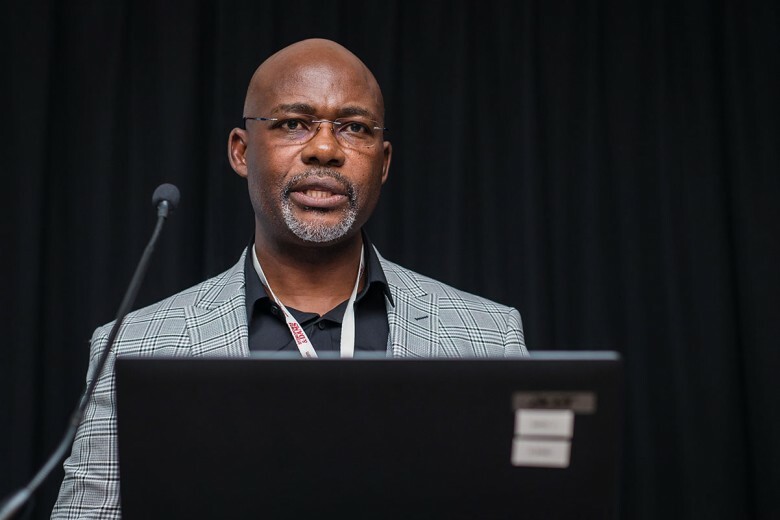 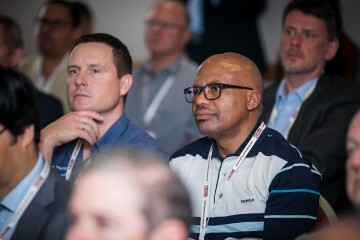 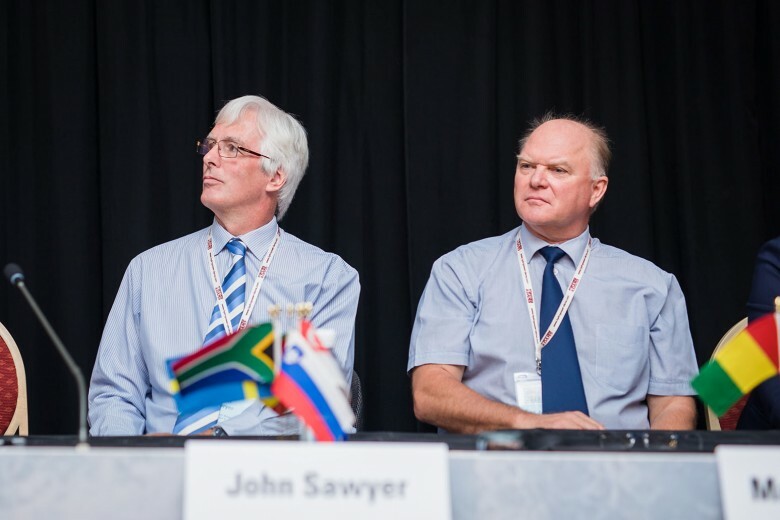 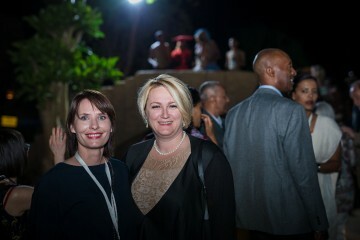 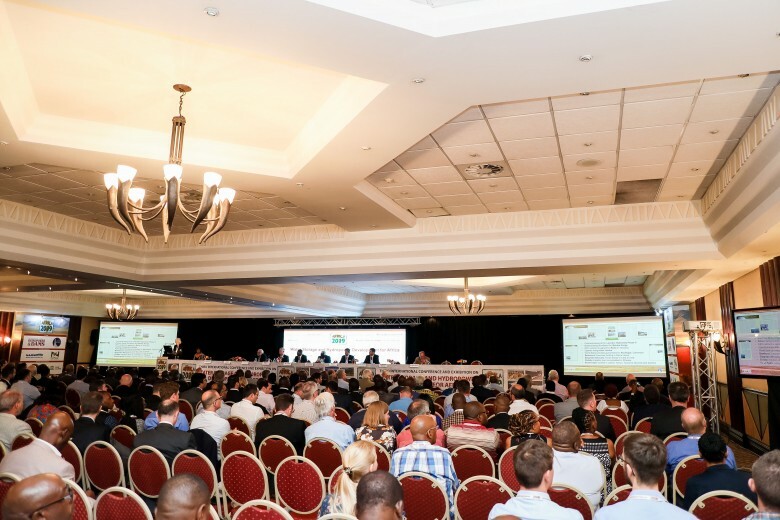 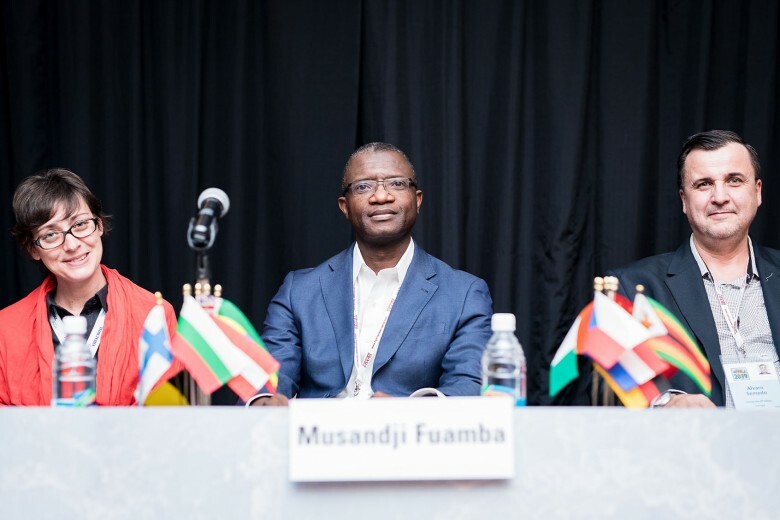 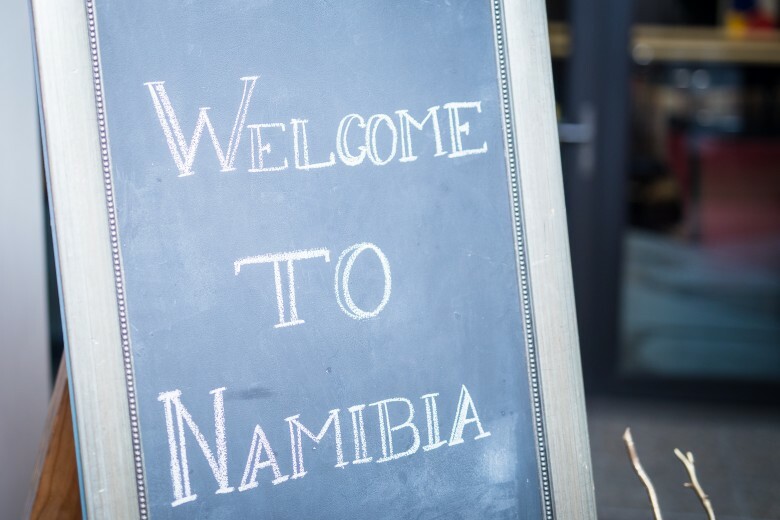 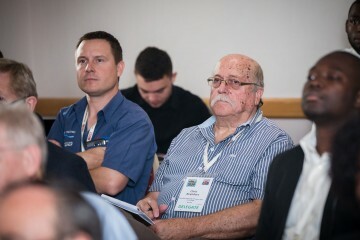 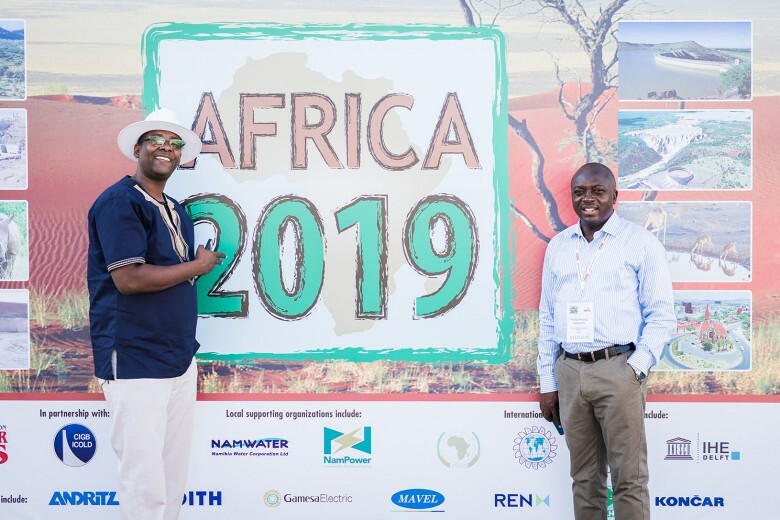 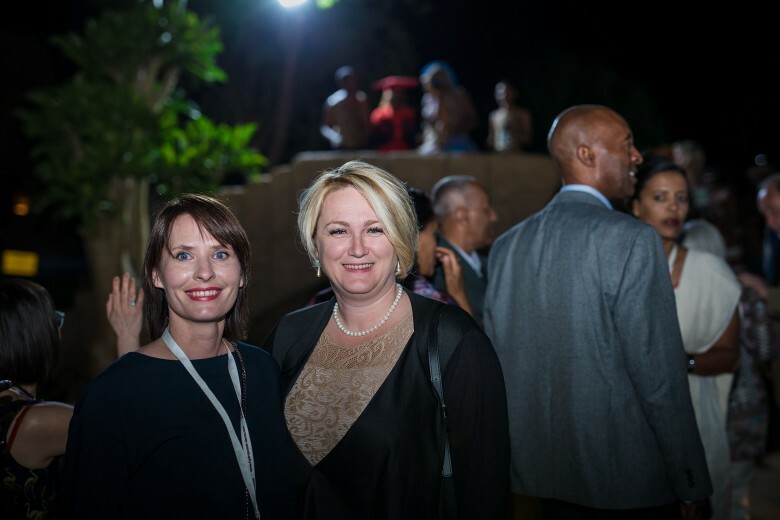 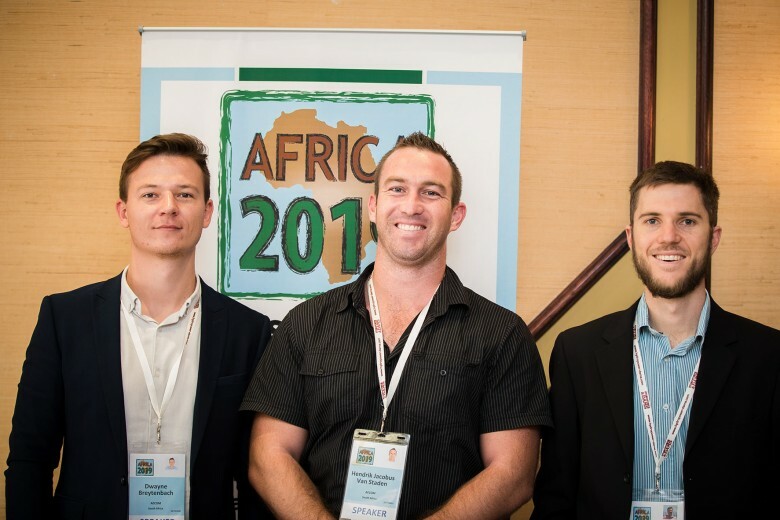 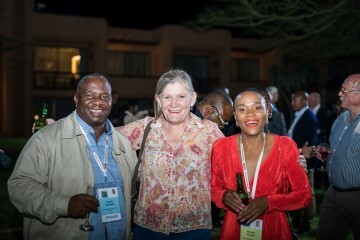 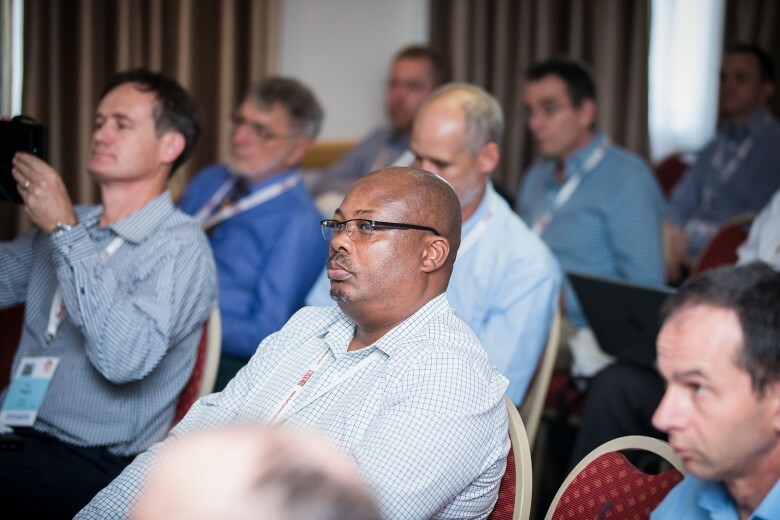 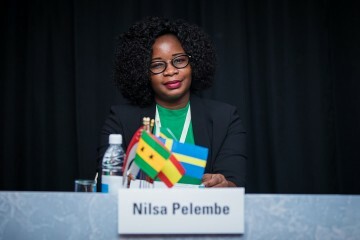 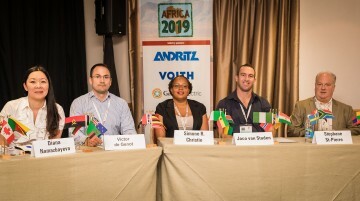 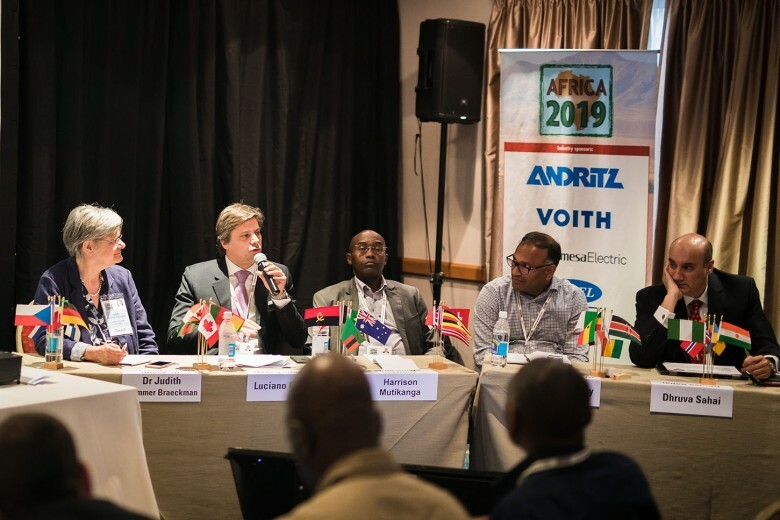 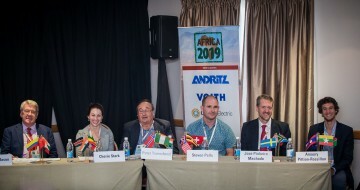 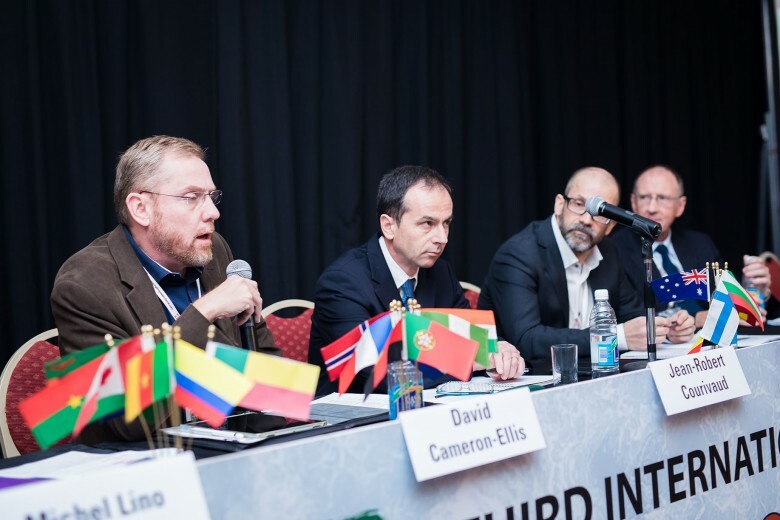 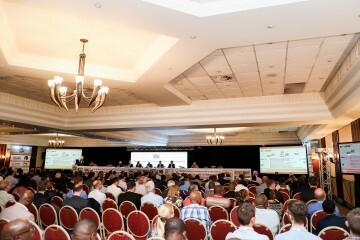 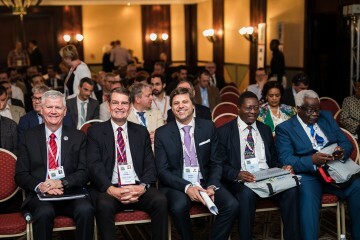 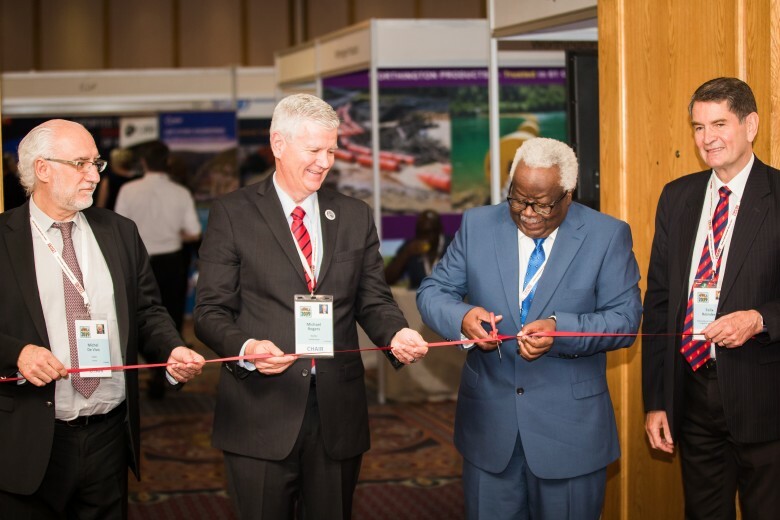 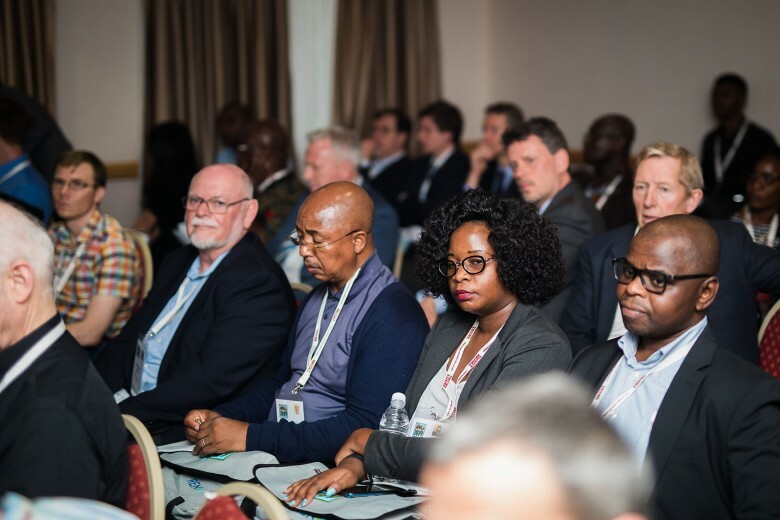 AFRICA 2019 took place between 2 and 4 April in Windhoek, Namibia, with more than 500 participants from 52 nations, including 22 African delegations, and others from Europe, Asia, North and South America and Australasia. 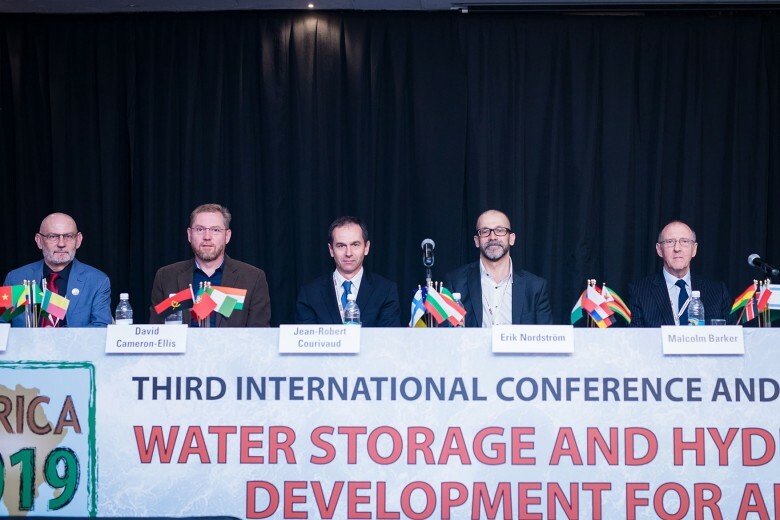 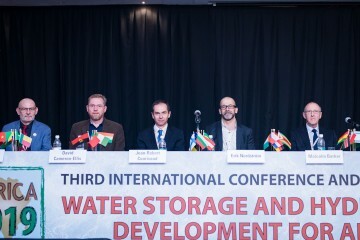 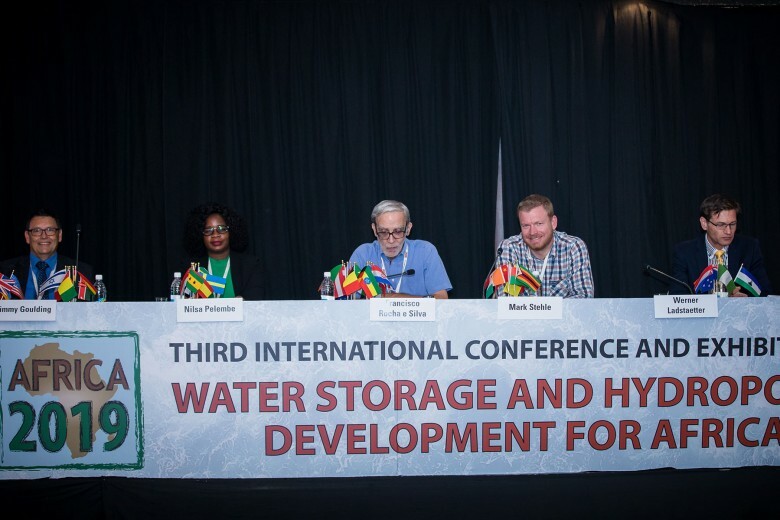 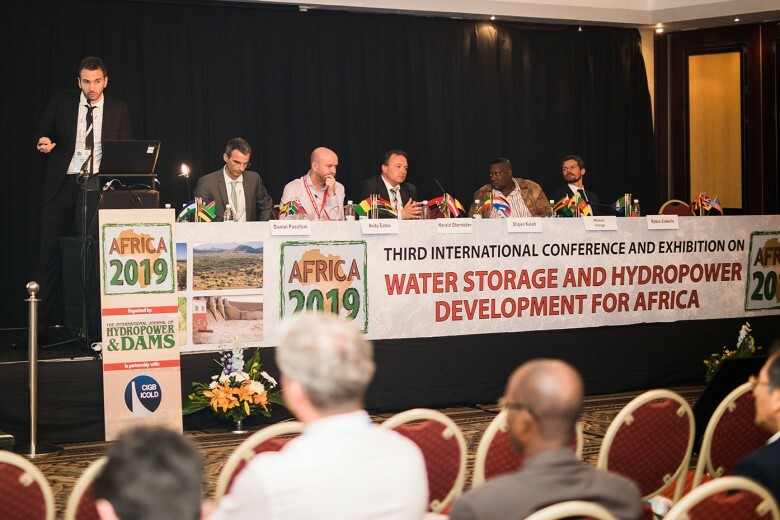 The three-day event, preceded by three full-day training workshops, was co-hosted by Aqua-Media International Ltd, and the International Commission on Large Dams. 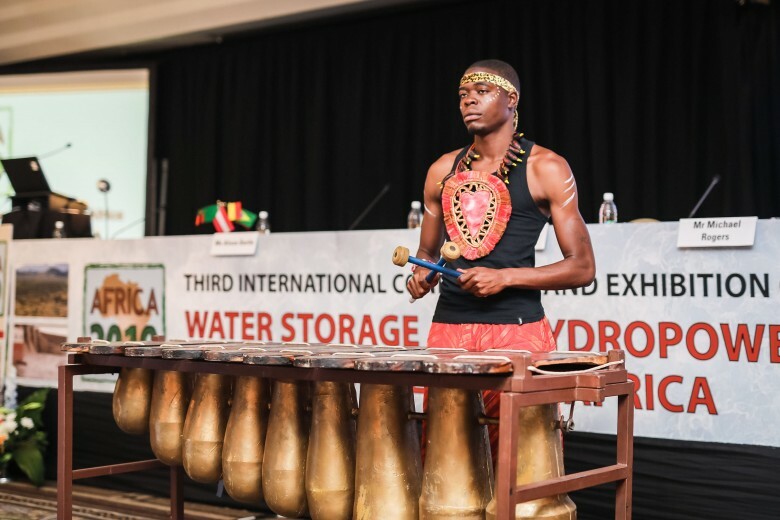 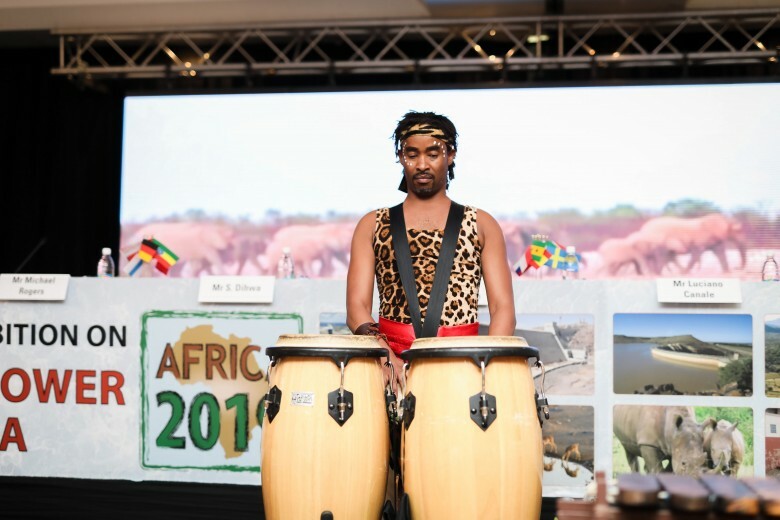 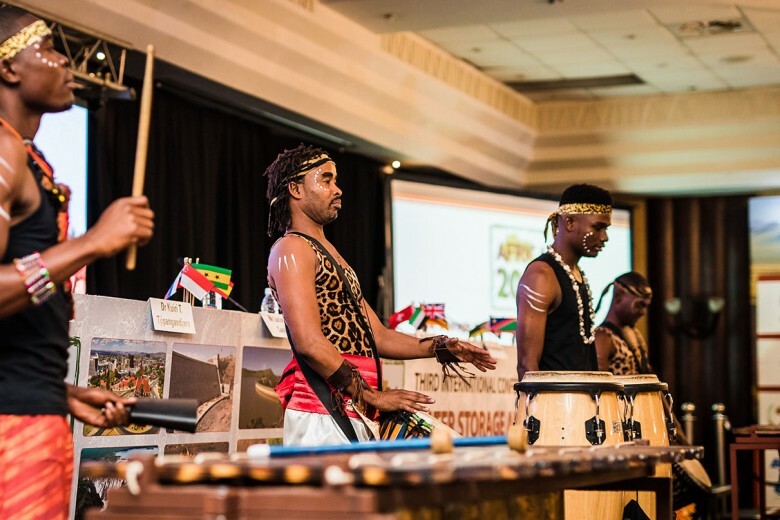 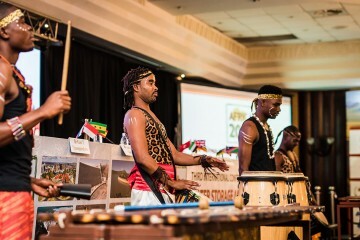 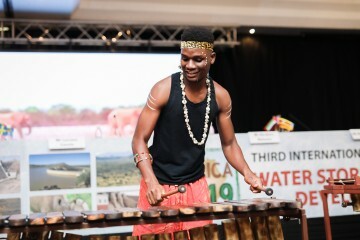 The Opening Plenary session, which began with a performance by traditional drummers, brought together keynote speakers who covered world needs for renewable energy and storage systems, project finance, water scarcity, impacts of climate change, and the overall commitment to further development of hydropower and water infrastructure in Africa. 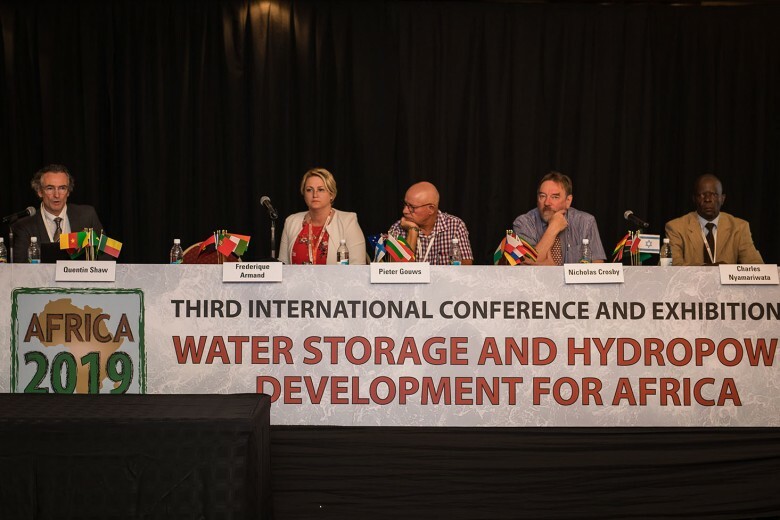 In her welcome address, Alison Bartle, Director of Aqua~Media, drew attention to the large number of major projects currently going ahead in Africa, for which finance had been secured and contracts were being let. Examples were Lesotho Highlands Phase II, Batoka Gorge on the border of Zambia and Zimbabwe, Rufiji in Tanzania, Nachtigal in Cameroon, and a number of others. 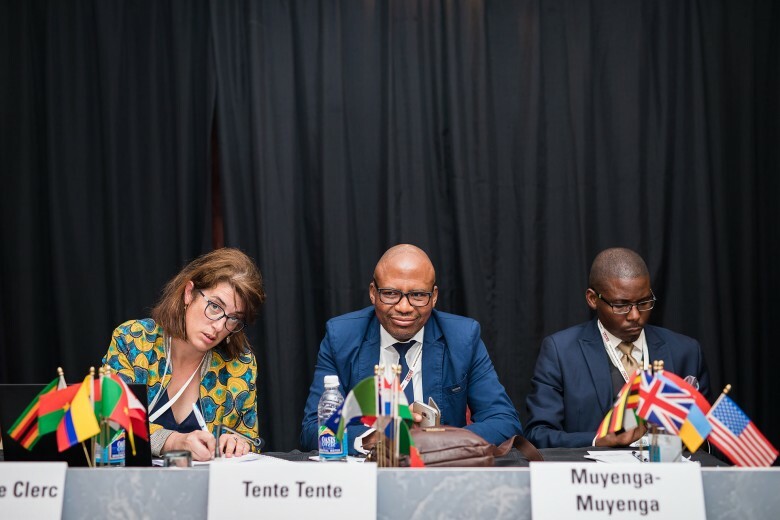 She previewed some of the sessions, highlighting the importance of talks on project preparation, private sector finance, climate issues, the safety of dams and powerplants, environmental and social issues, cross-border projects and capacity building. 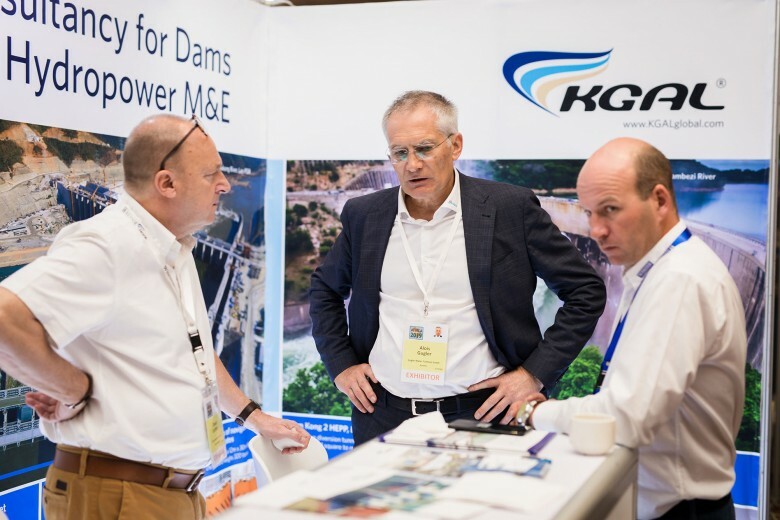 ICOLD President Michael Rogers spoke of the importance of dam safety, and noting that this was a core value for ICOLD. He mentioned that ICOLD had recently celebrated its 90thanniversary, and noted that there had been many changes in dam engineering and construction during those 90 years, from a few thousand large dams when ICOLD was first founded, to more than 60 000 large dams listed in the World Register of Dams today. 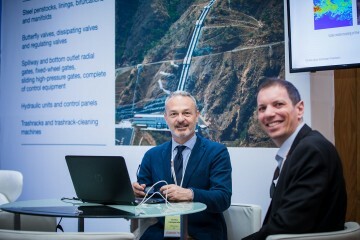 He described dams and hydro projects as unique and important infrastructure, which support our countries. 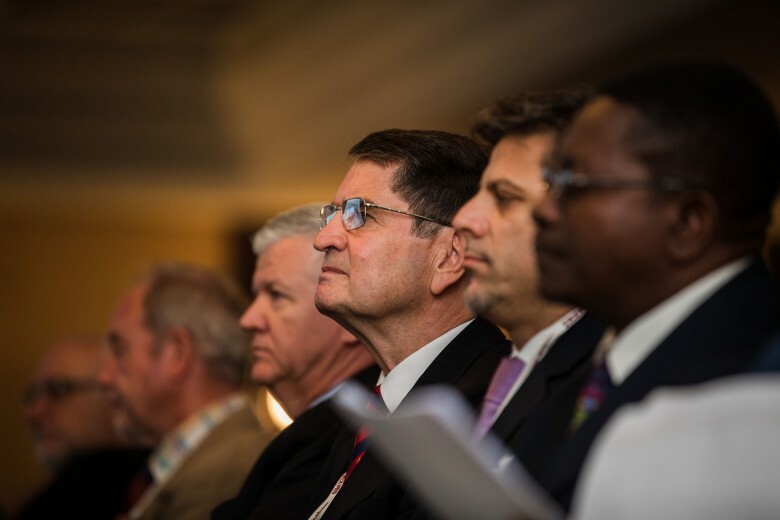 This conference brings us together so that we can learn from each other, learn about what has worked and what has not worked. 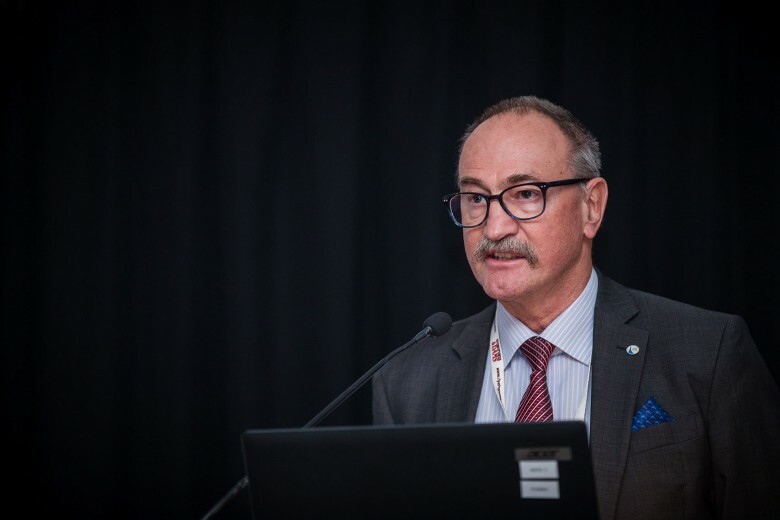 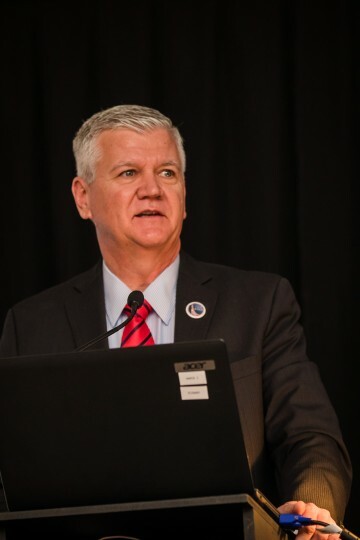 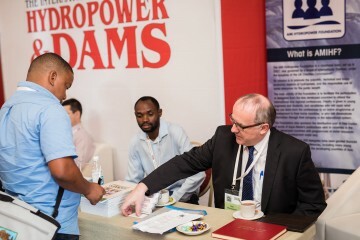 President Rogers noted that the unfortunate dam failures which had occurred over the last few years, underlined the need to continue and enhance efforts in dam safety, and this was a theme which ran throughout many of the conference sessions. 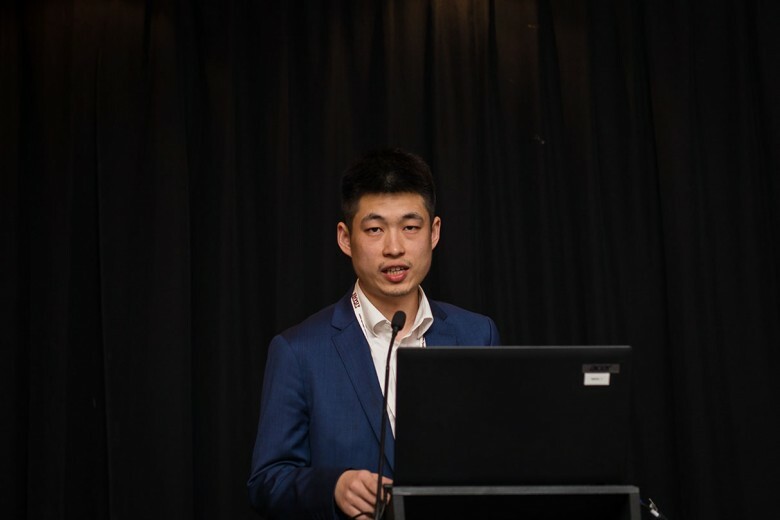 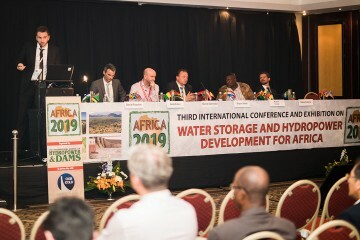 Dr Kuiri Tjipangandjara, Chairman of the Global Water Partnership – Southern Africa, gave a talk on water security, climate change and infrastructure development. 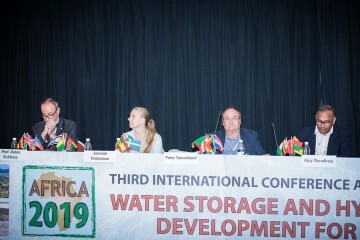 He focused on the SADC region, highlighting the importance of achieving water security, and the associated challenges. 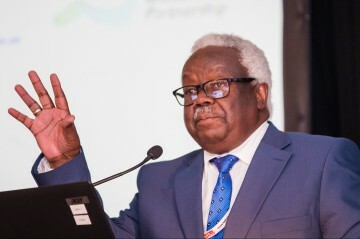 He also spoke of the need to develop climate resilient infrastructure, particularly multipurpose hydropower schemes, to meet food, energy and water security. 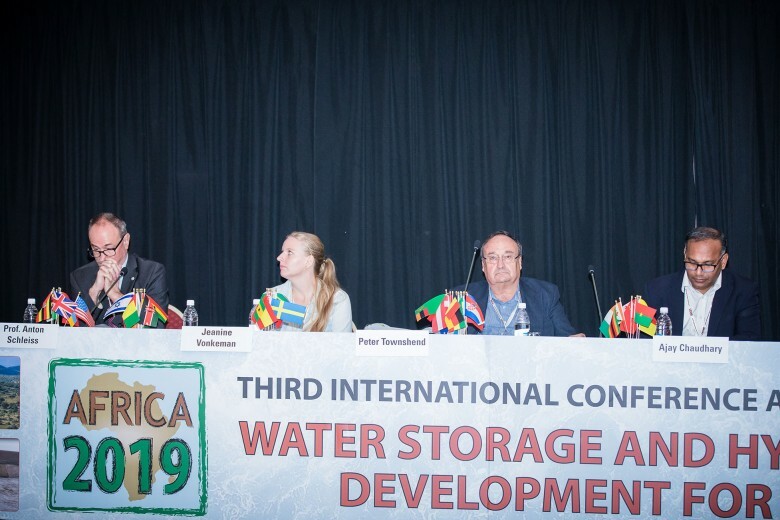 He noted that water availability was not homogenous across Africa, with the north, central and eastern SADC region being water rich, while Botswana, Namibia, and parts of South Africa suffered water scarcity. Dr Tjipangandjara described the water sector as a good anchor, observing that an underdeveloped water sector could not support the energy and food sectors. “One can live for a few days without electricity”, he commented, but not without water. 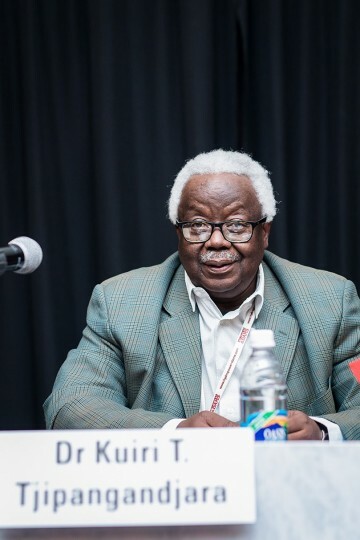 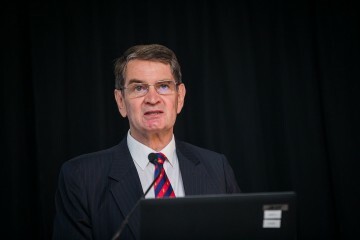 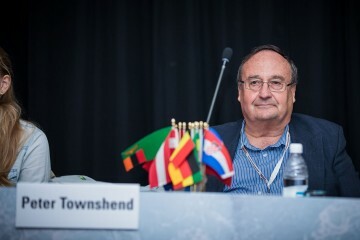 He concluded that challenges to developing water projects in the SADC region included: a lack of technical capacity to make projects bankable; a shortage of skilled people to manage projects; the absence of independent, comprehensive risk assessment; and, the fact that industries of public works did not tend to play a strong role. Berthold ua Mbuere, Head of NamPower’s Trading Unit, told delegates that Namibia often had to import more than 60 per cent of its electricity. The country’s installed capacity is 498 MW, with maximum demand being around 650 MW. He said around 117 MW of renewable energy had come on line, and there was a commitment to develop a further 280 MW. 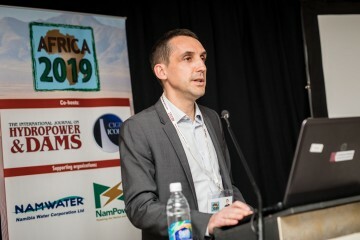 He also mentioned the importance of the 400 MW Baynes project, on the border with Angola, to be built in the medium to longer term; it will be a storage scheme, which is necessary to complement the current largest hydro scheme Ruacana, which is run-of-river. 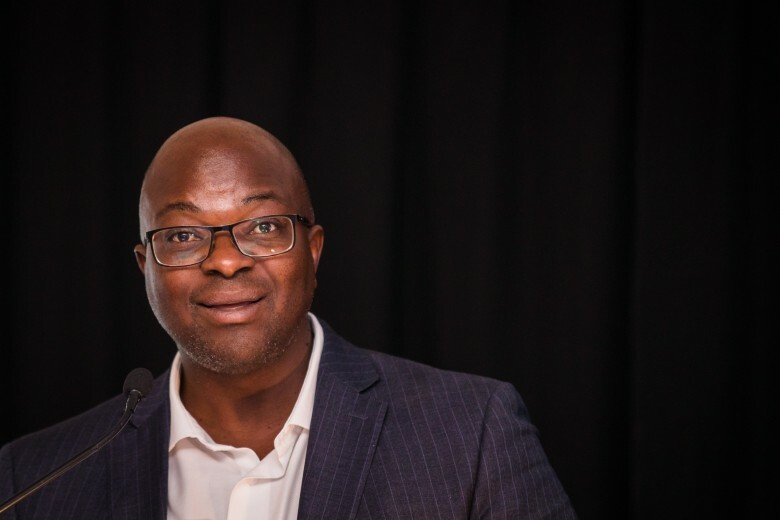 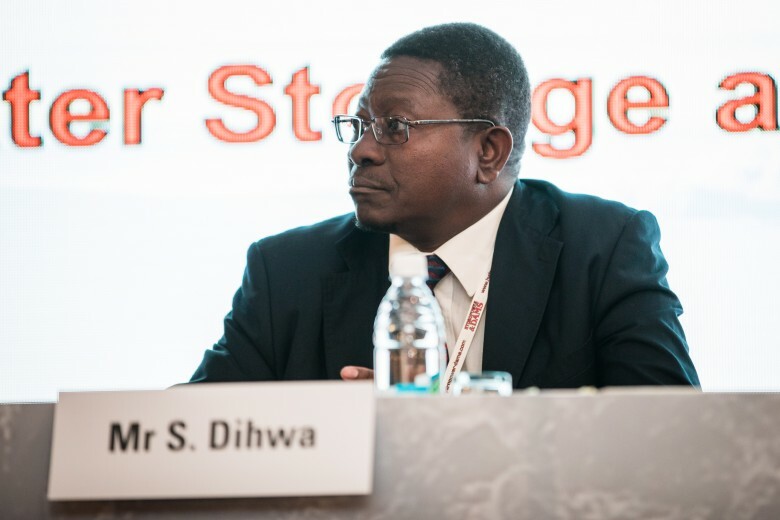 Steven Dihwa,Head of the Coordination Centre of the Southern Africa Power Pool (a subsidiary of SADC), observed in his opening address SADC has proven that regional integration works in various sectors. 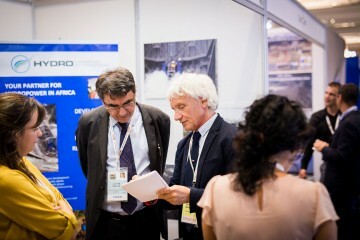 But particularly so in the electricity sector, and SAPP is good evidence of regional cooperation at work.Steven told us of the launch of the ‘sup pool plan’, a generation plan based on the various masterplans of the 12 countries in the region, aimed at optimizing strategies to benefit everybody in the region. 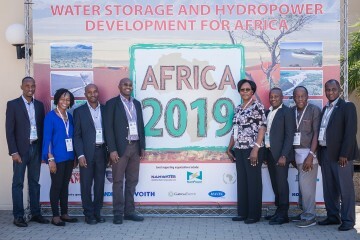 One of the outcomes underlined was the importance of developing the significant hydro potential, especially in the north of the country, and of creating regional integration by installing transmission corridors. 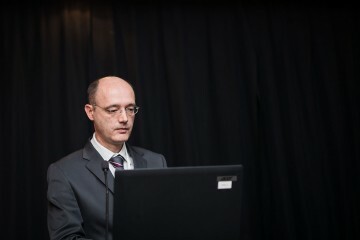 Luciano Canale, Senior Hydropower Specialist at the World Bank, stressed that hydropower is high on the Bank’s agenda. And in particular unlocking the hydro potential of Africa. 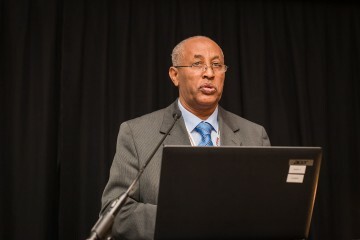 He noted that significant hydro development progress was mainly in four countries: Ethiopia, Guinea, DRC and Cameroon. 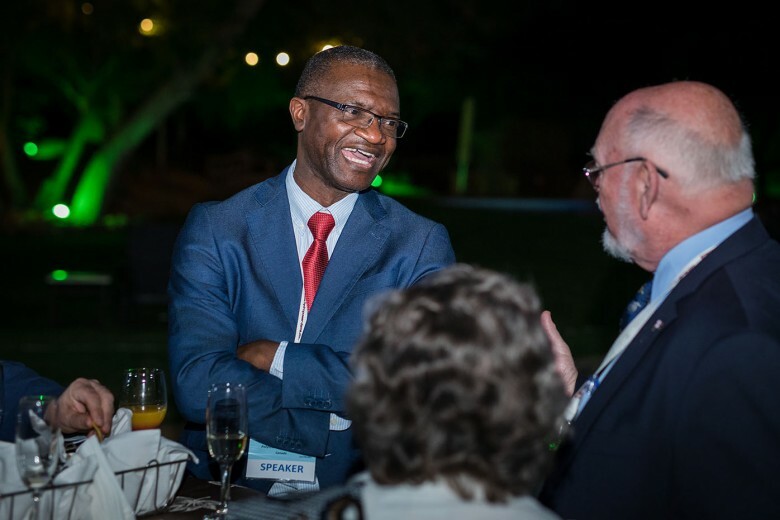 He noted that less than 40 per cent of Africans have access to electricity, and that there was a great disparity among the countries (universal access in Egypt and less than 10 per cent in Chad and South Sudan). He spoke of the need for, but challenges of, encouraging private sector investment, and demonstrated how the World Bank was able to give support. ICID President, Felix Reinders, spoke of the water energy food nexus. He pointed out that there is a global opportunity for better efficiencies and resource conservation in the water, food and energy supply chains. 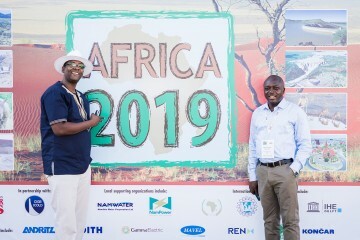 The idea is to improve components of the food production supply chain with respect to water and energy use as well as a reducing food wastage. 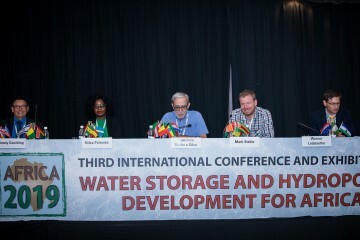 Food wastage accounts for 1380 km3 of water being wasted every year globally, equivalent to a value of US$ 252 million.He called for populations to be more ‘water smart’. Niels Nielsen, Joint Secretary of IEA-Hydro, outlined the work of his organization’s six working groups, which deal with: carbon balance in freshwater reservoirs; hydropower and fish; hydropower cascade reservoirs; hydro plant renewals; and, hidden hydro. He focused particularly on the last of these, explaining that hidden hydro meant opportunities provided by hydropower, which had not been considered during the original development or opportunities that arose later. 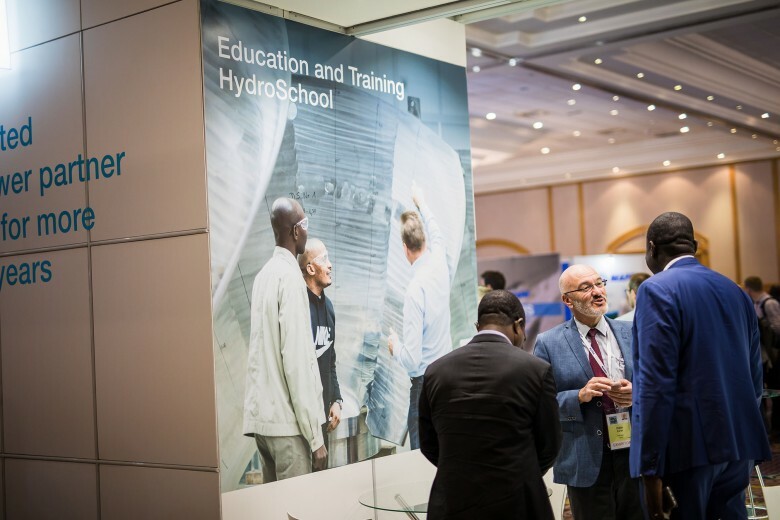 The IEA working group objectives, he said, were to: identify such opportunities, understanding any barriers and considering enablers to overcome the barriers; and, providing a framework to increase development of hidden hydro globally. After the plenary, the AFRICA 2019 Technical Exhibition was officially opened, with a ribbon cutting ceremony by Dr Tjipangandjara and the officers of ICOLD, ICID and NamPower. 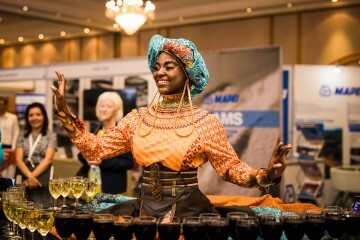 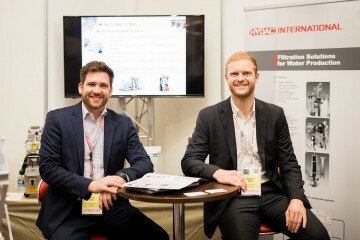 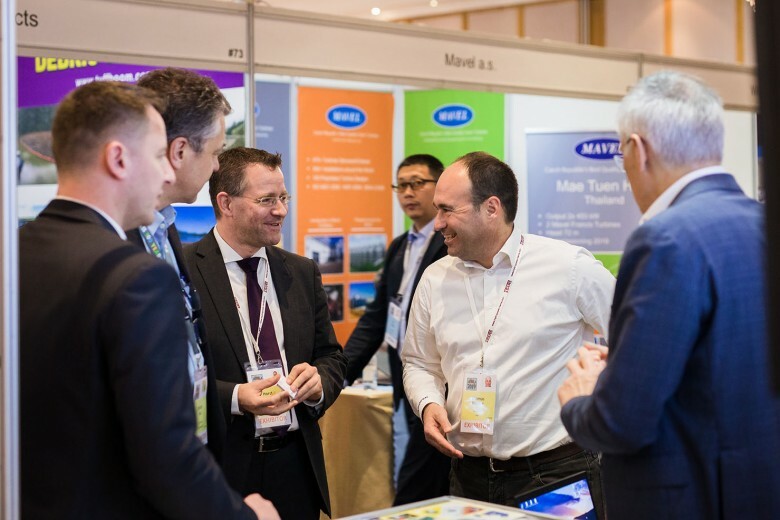 There were 57 companies from around 20 nations exhibiting their supplies and services during the conference and a networking party was held in the exhibition on 3 April. The conference then divided into three parallel tracks of sessions, all of which were well attended. 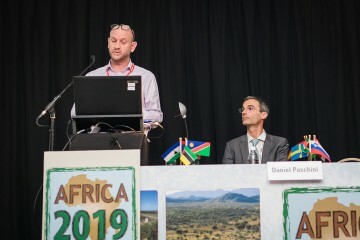 In the closing plenary session on 4 April, some of those who had chaired sessions gave brief summaries of the main outcomes. 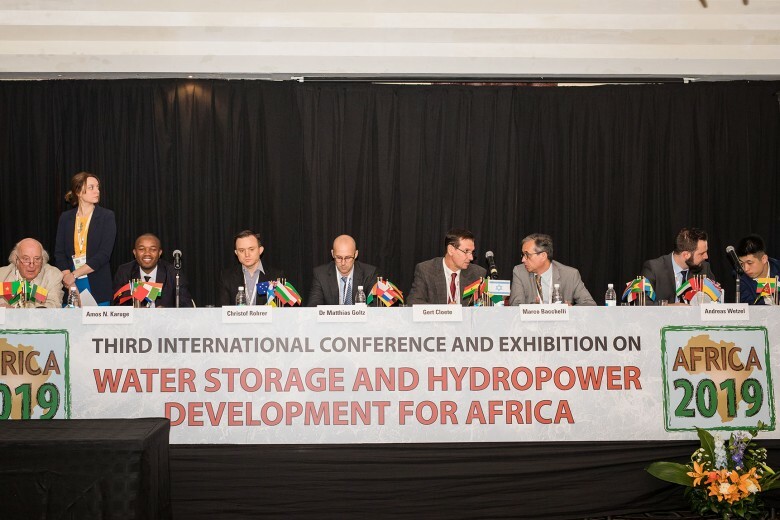 Summaries of all the conference sessions, as well as the post-conference study tours, will be published in Issue 3 of Hydropower & Dams. 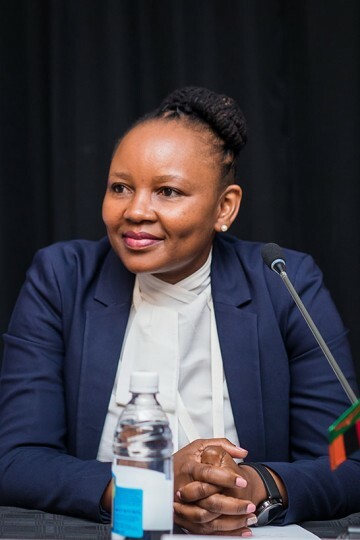 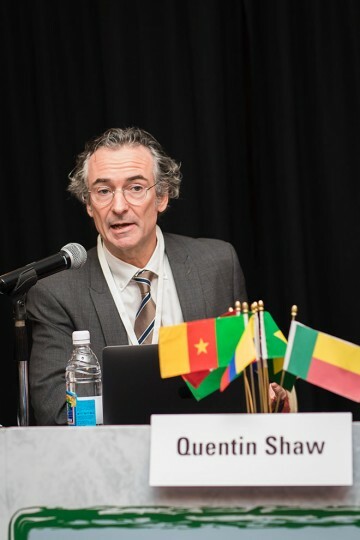 Representatives of organizations active in hydropower and dams in Namibia, Africa and worldwide gave keynote speeches related to the challenges and opportunities in African hydro development. 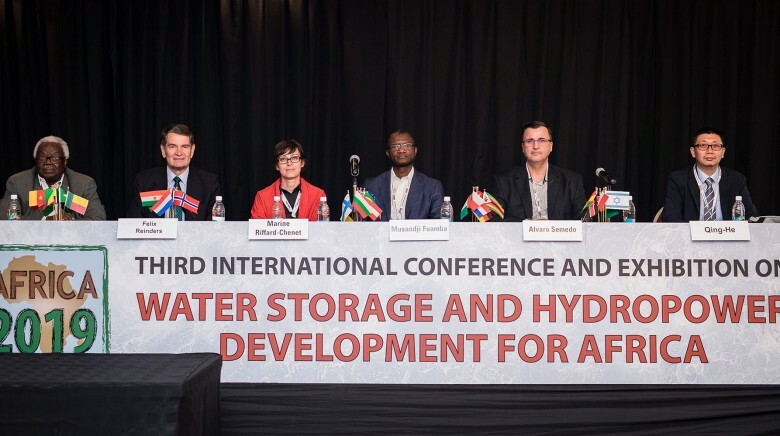 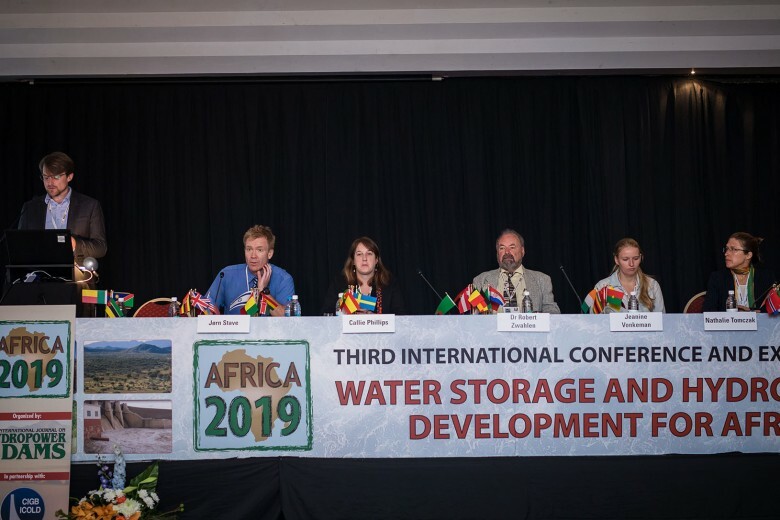 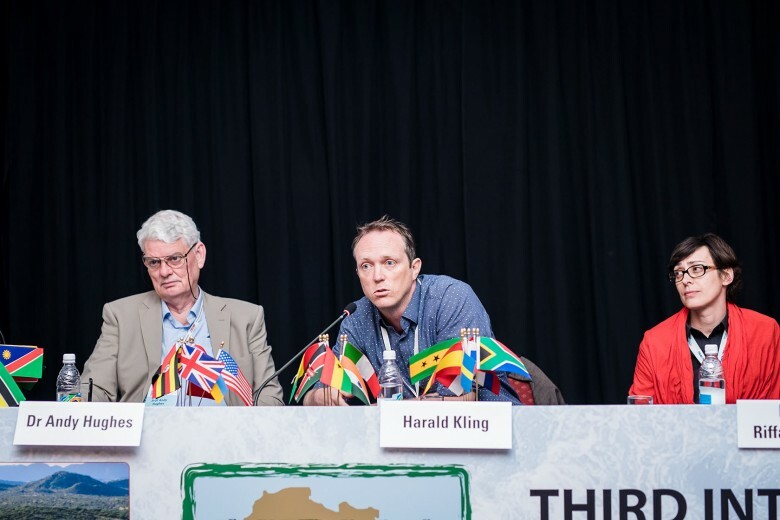 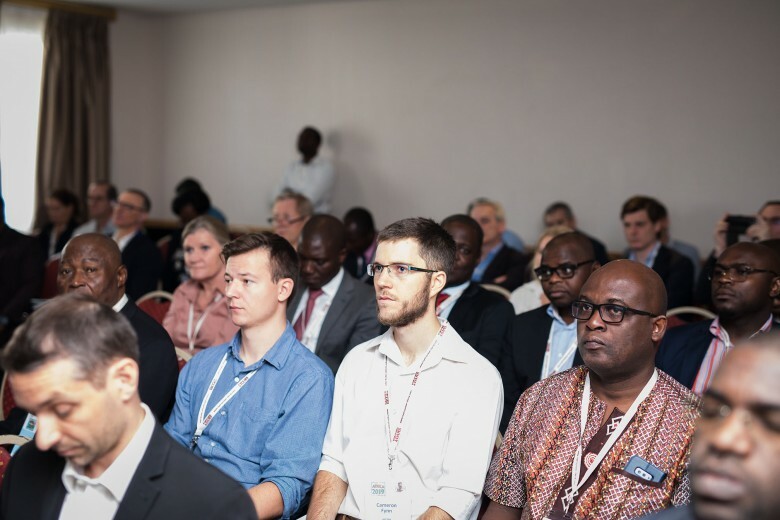 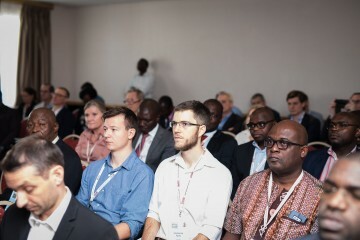 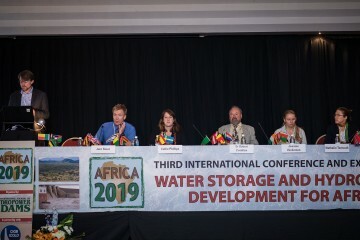 During AFRICA 2019 three parallel sessions took place covering the main aspects of hydropower and water resources development of relevance to Africa. 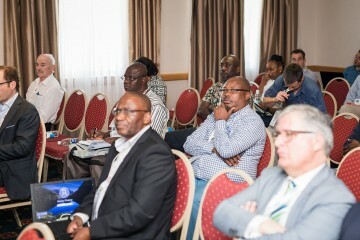 Below are some highlights from the technical sessions. 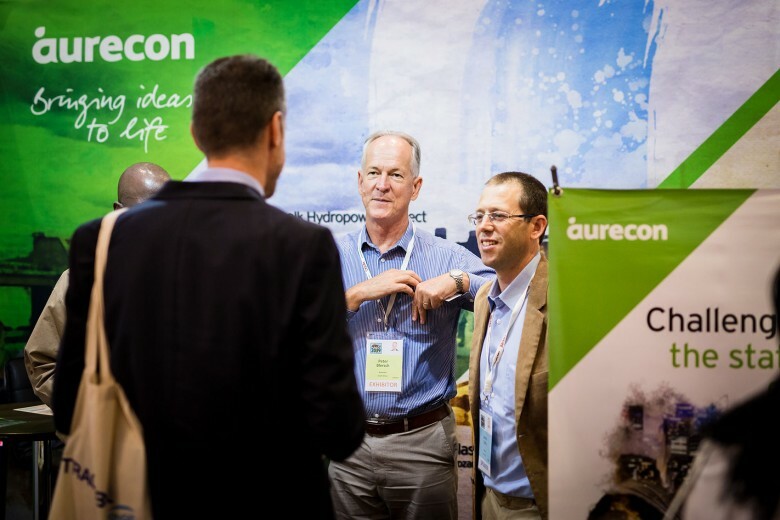 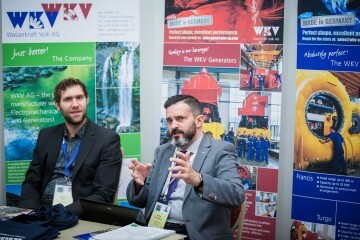 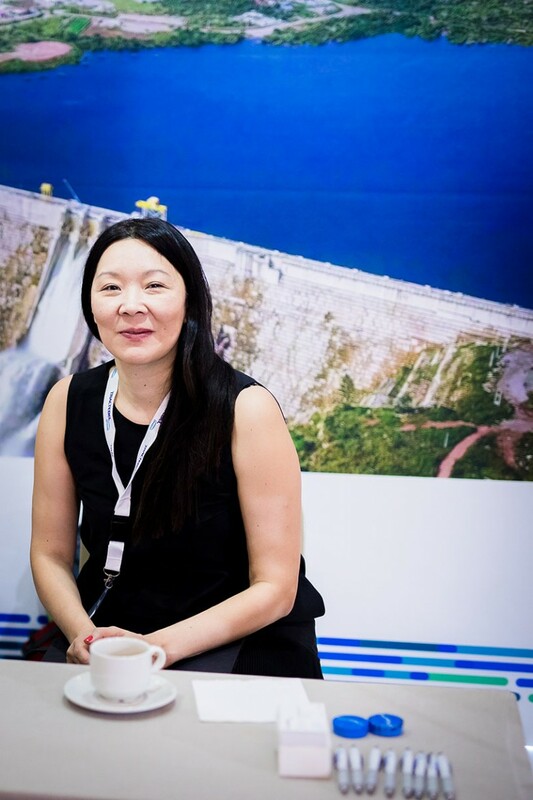 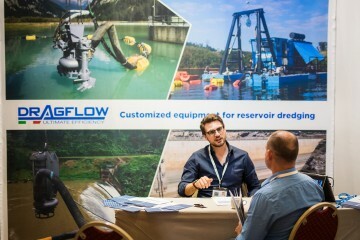 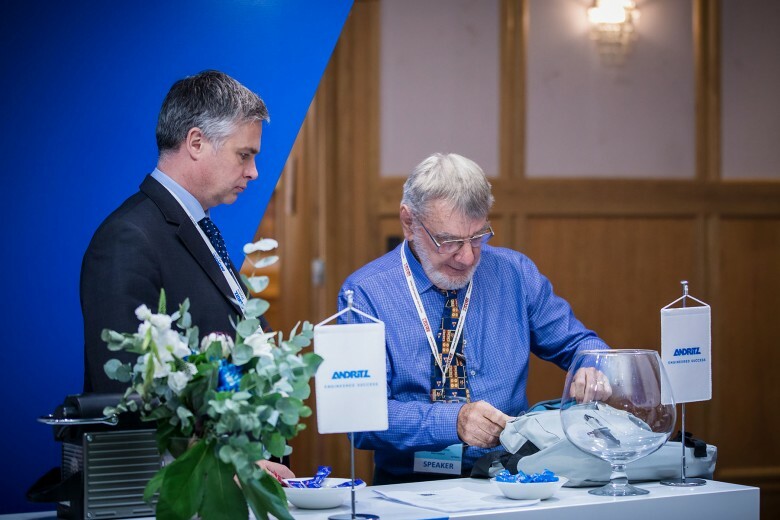 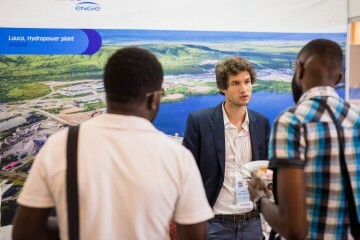 A Technical Exhibition took place alongside the conference sessions, representing companies from around the world active in hydropower and dams in Africa. A Welcome reception, Exhibition Networking party and Gala dinner provided a relaxing and enjoyable end to the days of technical sessions. 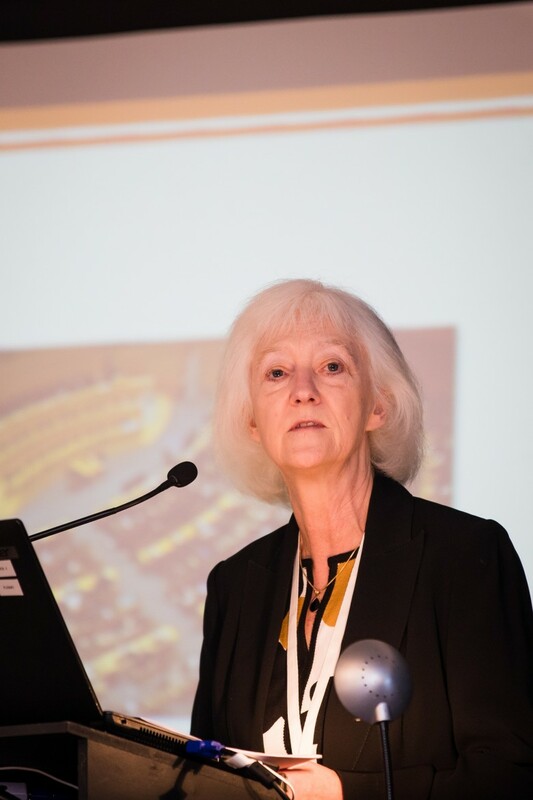 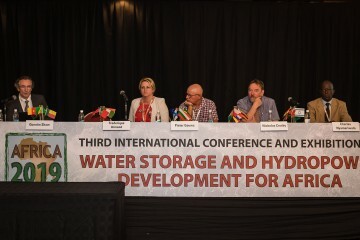 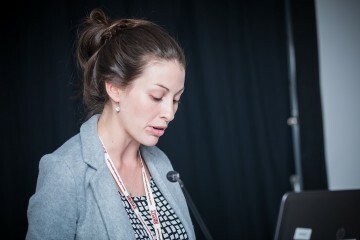 Alison Bartle, Director of Aqua~Media International, in the Opening Plenary of AFRICA 2019. 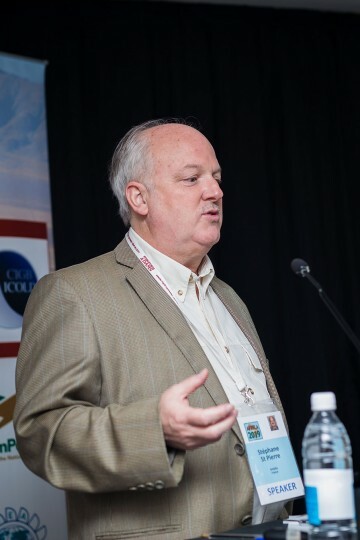 Mike Rogers, President of ICOLD, who co-hosted the event, welcomed delegates to Windhoek. 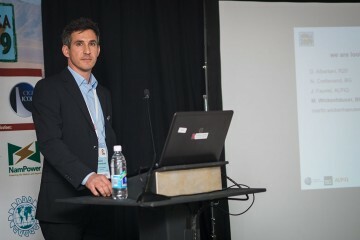 Niels Nielsen, IEA Hydro, discussed his organization's programmes , particularly the concept of 'hidden hydro'. 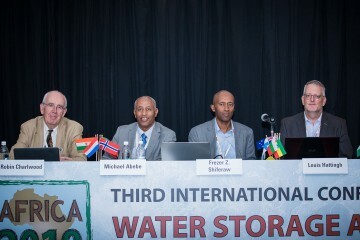 Dr K. Tjipangandjara from Global Water Partnership, South Africa. 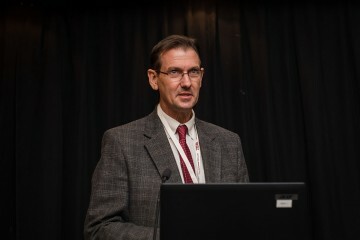 Felix Reinders, President of ICID, gave a keynote speech. 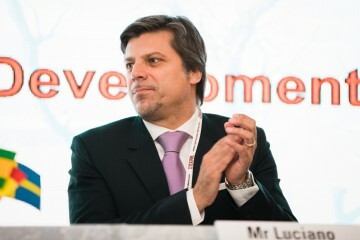 Luciano Canale, Senior Hydropower Specialist, the World Bank. 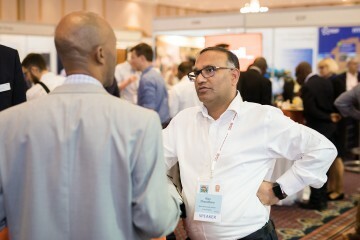 Steven Dihwa, Coordination Centre Manager, South African Power Pool. Berthold ua Mbuere, Divisional Manager of Energy Trading of NamPower. Drummers entertained delegates at the start of the conference. 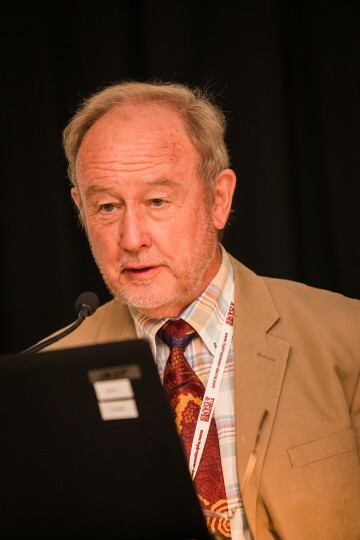 Session 8 - Civil engineering: Materials, chaired by Dr Malcolm Dunstan of MD&A. 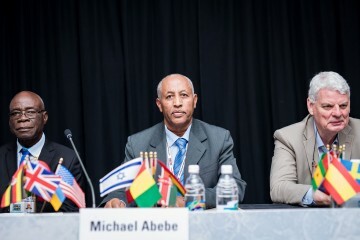 Session 9 - Cross-border collaboration, co-chaired by Steven Dihwa of the South African Power Pool and Azeb Asnake, Consultant, Ethiopia. 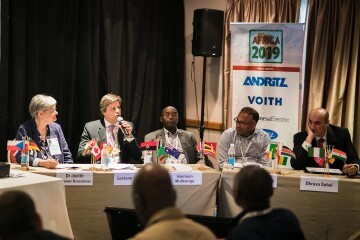 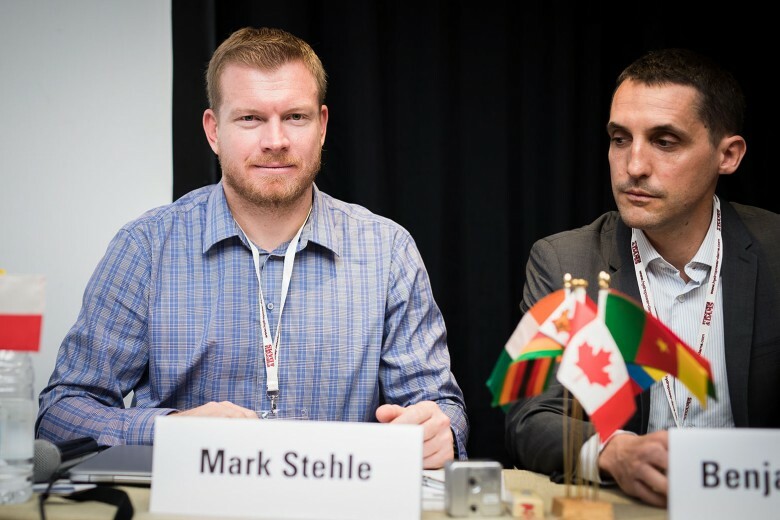 Session 10 - Planning and development, chaired by Mark Stehle, NamPower. 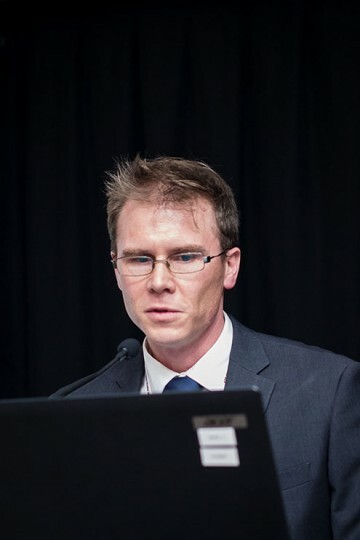 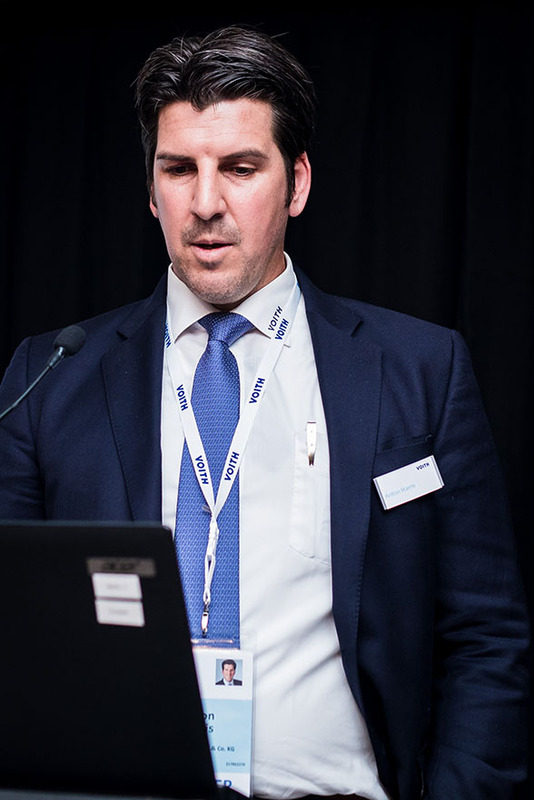 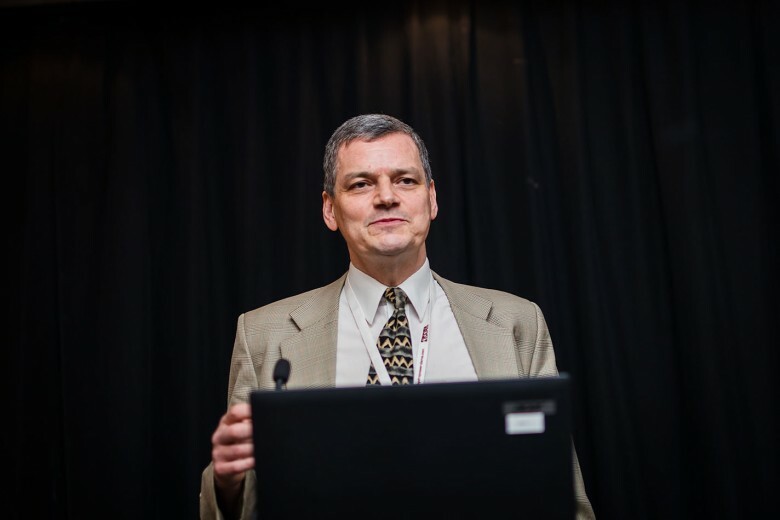 Session 11 - Civil engineering: Rehabilitation, chaired by Dr Quentin Shaw of ARQ Dams Ltd. 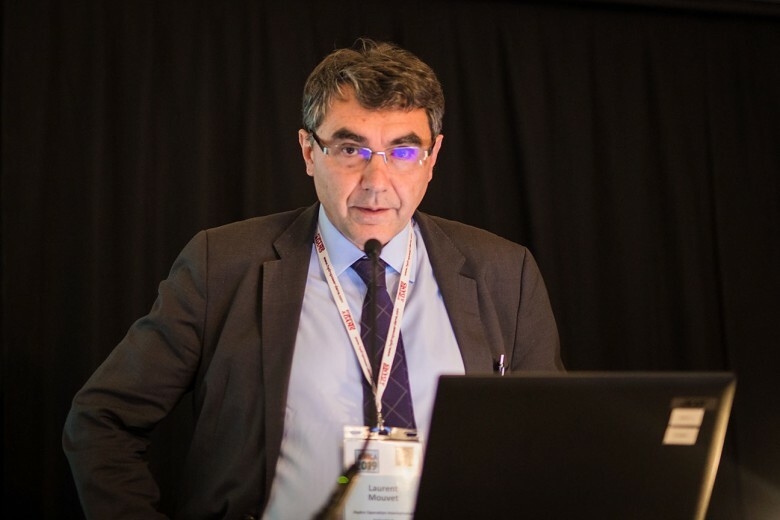 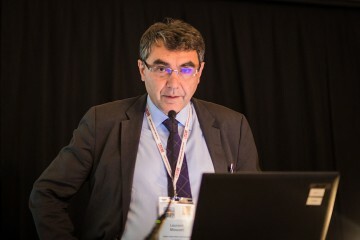 Session 14 - Civil engineering: Safety, chaired by Michel Lino, Consultant, France. 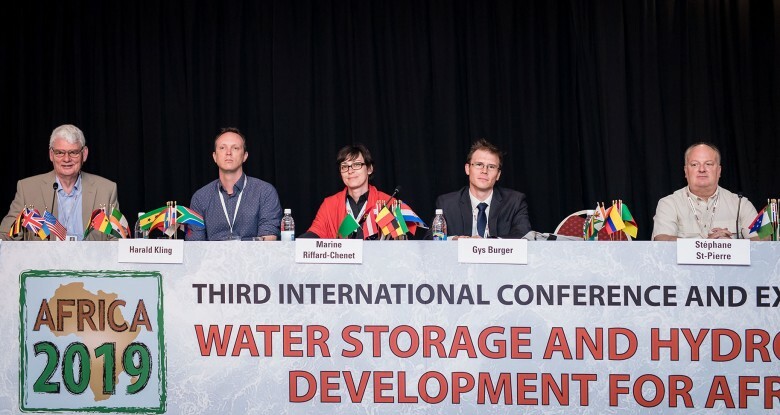 Session 15 - Hydrology and flood management, chaired by Dr A. Hughes, Dams and Reservoirs, UK. 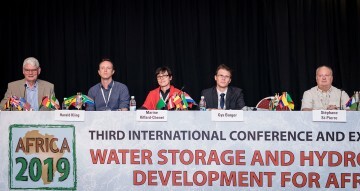 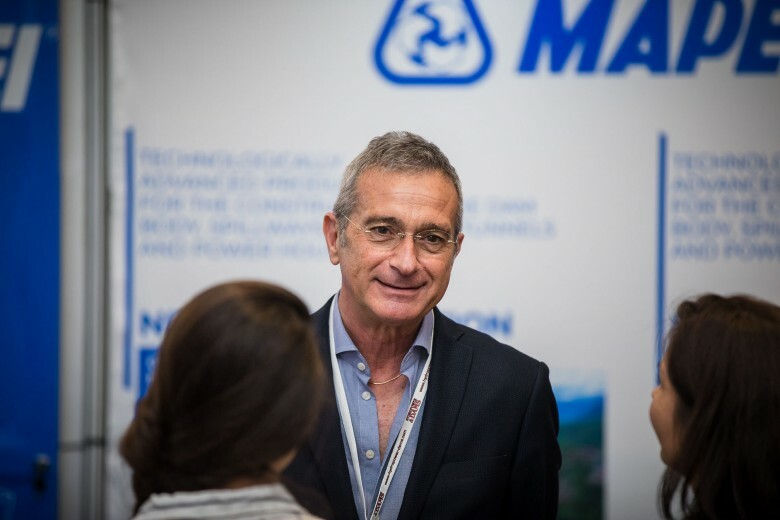 Session 16 - Sustainable water storage to meet water, food and energy development goals, co-chaired by Dr M. Marence, IHE Delft Institute of Water Education, and L. Ferrini of GIZ, Niger. 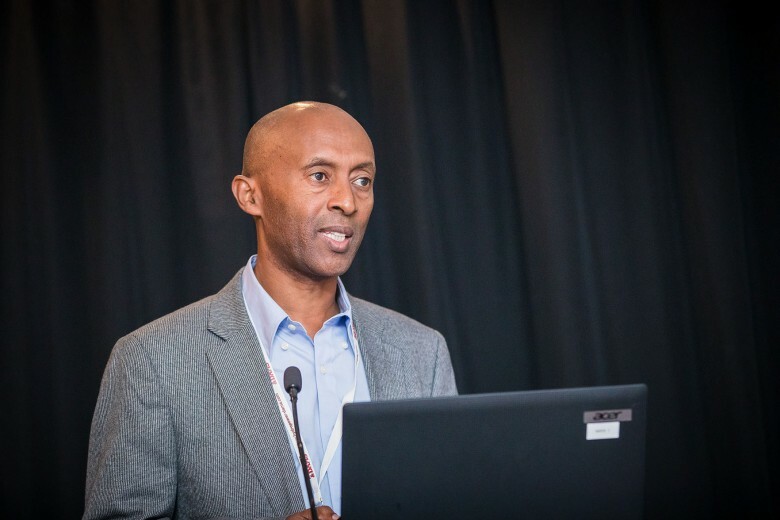 Session 20 - Implementation of a dam safety management programme, co-chaired by M. Abebe, Dr R. Charlwood, Consultant, USA, L. Hattingh, Consultant, South Africa and F. Shifarew, Consultant, Ethiopia. Session 21 - Environmental and social aspects, chaired by Dr J. 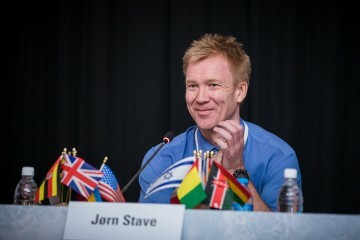 Stave, Multiconsult, Norway.